Since everyone seems to come out with a Best of 2012 list at the end of the year, I thought I would list my top 10 most viewed posts this year. Everything You Don’t Need And Can’t Live Without – I don’t like to sit still, don’t nap and hate to be bored. I realize that it doesn’t always make me the most relaxing person to be around, but it’s generally pretty entertaining. When we had a free Sunday, I decided to go check out a little shindig they had going on in the cool Carouge neighborhood. Unexpectedly, this post was selected for Freshly Pressed. Tschäggättä Parade To Celebrate Carnival In The Lötschental Valley – One of the best things about Switzerland is its festivals. This one was unlike anything I’d ever seen. This was my first post to be Freshly Pressed. More Pictures of the Versoix, Switzerland Ice Storm – Remember the picture of the frozen car? Well, since it was taken in a suburb of Geneva, I couldn’t help myself. I went to get the shot. On a side note, it would have been smart of me not to wear high heals when doing so. A couple of nice Swiss gentlemen helped me off the ice. Yep, I’m an idiot, but the pictures are great. Our Basement Bomb Shelter, Otherwise Known As Our Storage Unit – I’m glad other people are as intrigued by this phenomenon as I am. Mt. 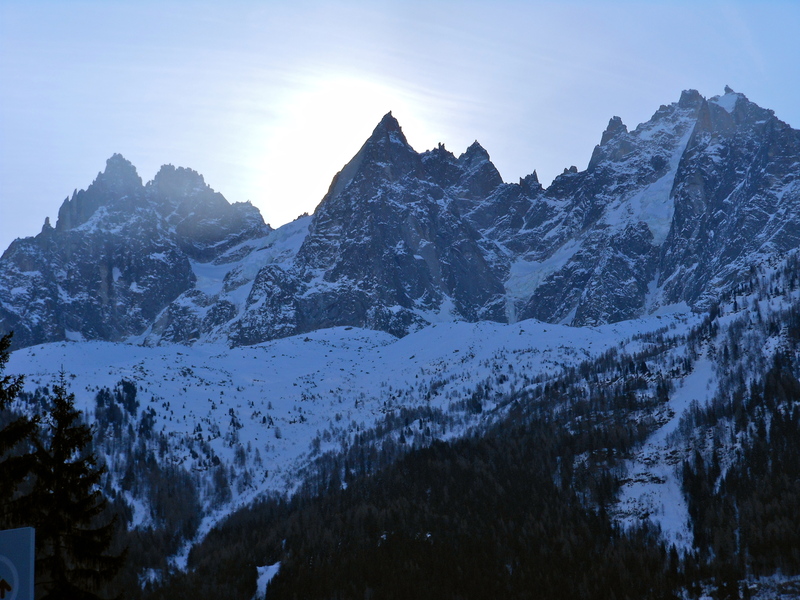 Blanc, The Tallest Mountain In The Alps – I am profoundly grateful to have seen such beauty. 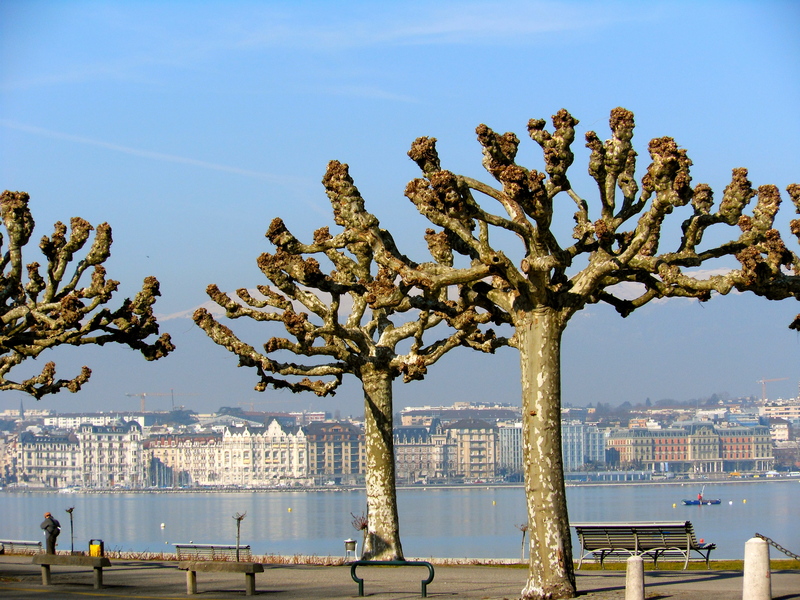 The Spaghetti Tree Hoax, Aka Happy April Fool’s Day From Switzerland – Hilarious. Sorry, I just couldn’t help myself. My Introduction to French Cinema, A List of Great, Entertaining and Fun French Films – While I posted this before Jean Dujardin won the Oscar, some of his comedies made the list. Why Didn’t Hitler Invade Switzerland? – This was a hard one to write as it’s a difficult question. I hope I didn’t screw it up too badly. What The Heck Is A Bidet? – Please feel free to comment with any additional uses you can think up for a bidet. Rochers-de-Naye is the mountain with the rock top on the left, not the bump, but the one with the snow below the rock. We woke up to a beautiful day. Since it was so clear, we decided to do one of the things that we’d been saving for a clear day so we could enjoy the view. 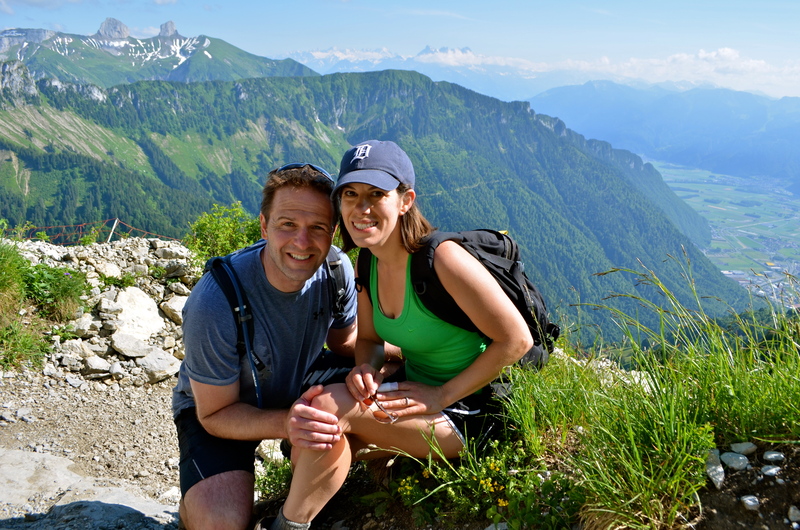 Our choices were take cable cars to the top of Mont Blanc or hike from the lake in Montreaux to Rochers-de-Naye. 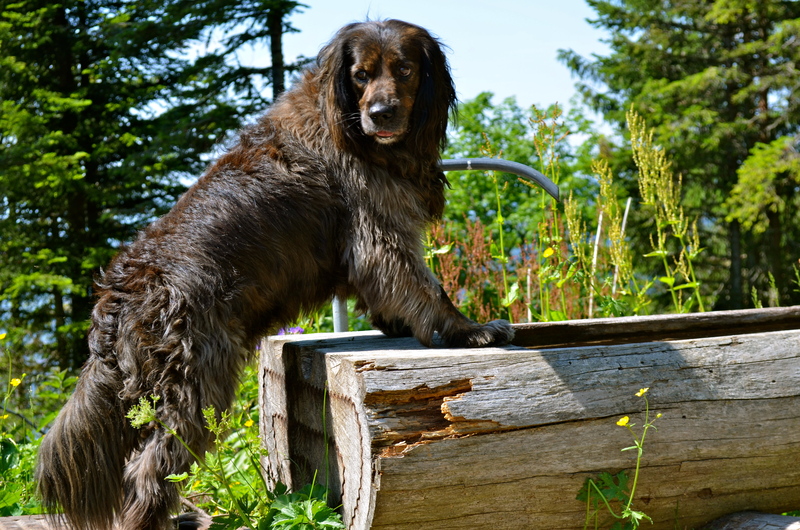 I checked with him to make sure he know the hike meant climbing the mountain behind Montreaux. Please note the full disclosure (on my part) and assumption of risk (on his part). We weren’t the only ones who thought it was hot. This guy jumped into the water fountain. 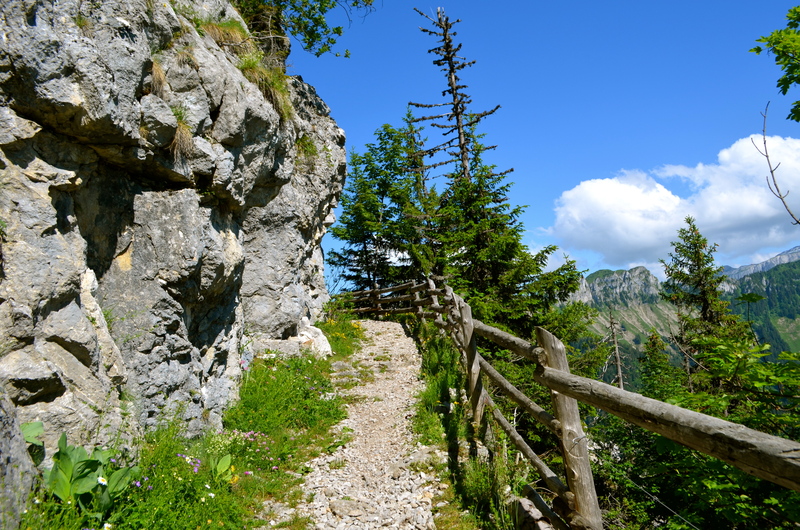 A reader suggested this hike and I wanted to do it because the views at the top are spectacular. Yeah, we could have taken a cog wheel train up, but where’s the fun in that? Especially on a hot day? We spent about five hours…walking up, and up, and up. On the way, we saw these brave fellows heading down. In this photo, you can’t see what is beyond the edge. In fact, it’s almost impossible to see from this vantage point. That’s because it drops off sharply and precipitously. 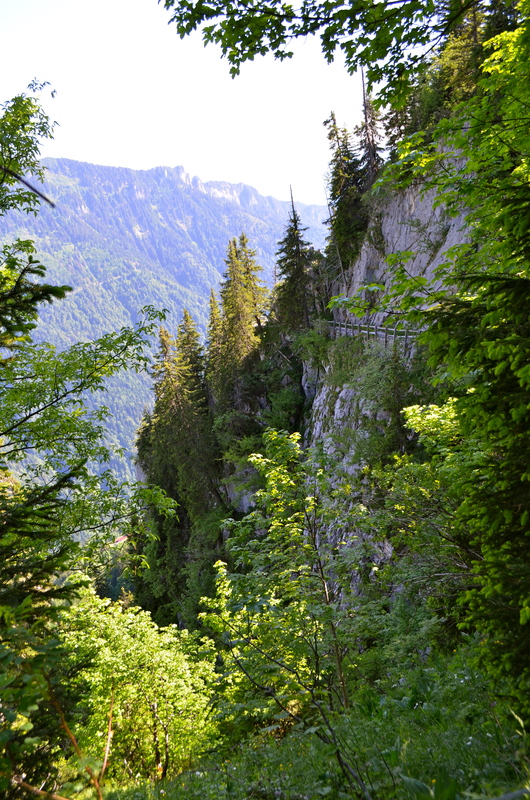 If you look on the right of the photo below, you will see a small railing that prevents people falling from the steep rock face. Yep, that’s where we ran into them. Impressive. 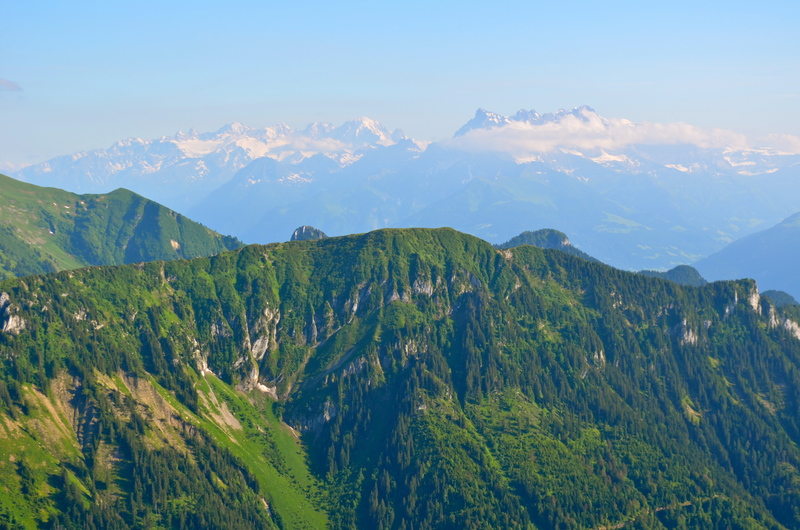 I’ve always wanted to do a ridge hike in Switzerland. I thought it would be cool to look down on both sides. This trail had a bit of one. Cool huh? At the end of the ridge, we finally caught sight of the summit. Although it looks pretty close, it took us at least another 45 minutes to reach it. I may have slowed us down by stopping every 10 feet to take pictures of the incredible scenery. When we finally reached the top, we found snow! I know, I know. After several hours of hiking, the bandage on my paw looked about as dirty as the snow. Yep. The finger is still bandaged. He was exhausted at the end of the day (and very, very hungry). I thought it was worth it. He joked that I tried to kill him. I’m happy to report that he’s forgiven me. Either that or he is lulling me into a false sense of security while he plans his revenge. 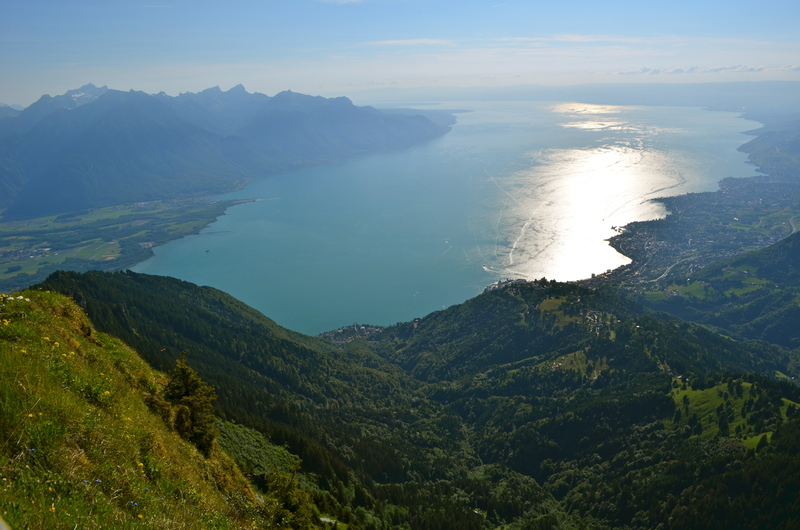 It was a long, sweaty (especially on his part), but enjoyable hike from Lake Geneva (Lac Leman) in Montreux to Rochers-de-Naye at 2041m (6,709 feet). At the top, there was snow and unforgettable, jaw dropping views. They also have Marmot Paradise. 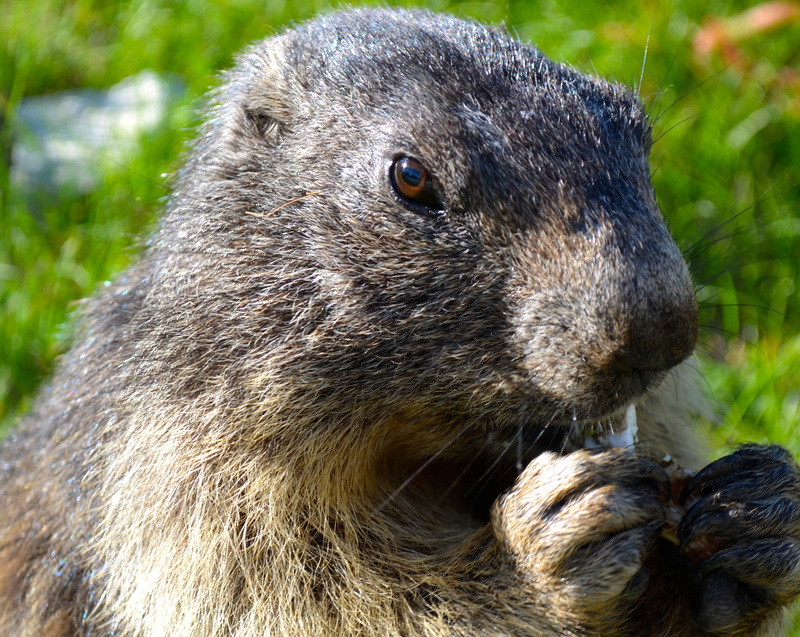 Who doesn’t love these beaver-like animals? 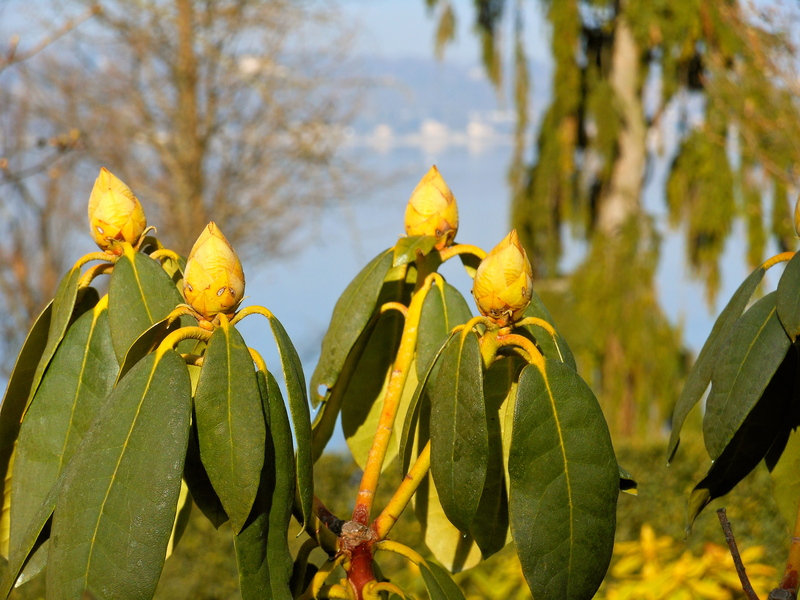 I also enjoyed the Alpine garden with lots of special species of Swiss Alpine plants and flowers. I even saw Edelweiss! 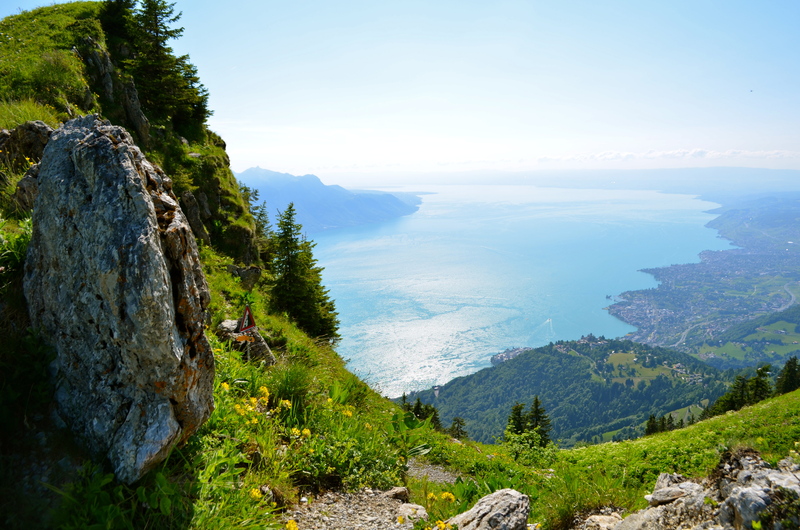 Once upon a time in Switzerland, some English tourists spent an unusually cold, wet summer in Switzerland on the shores of Lake Geneva (Lac Leman). 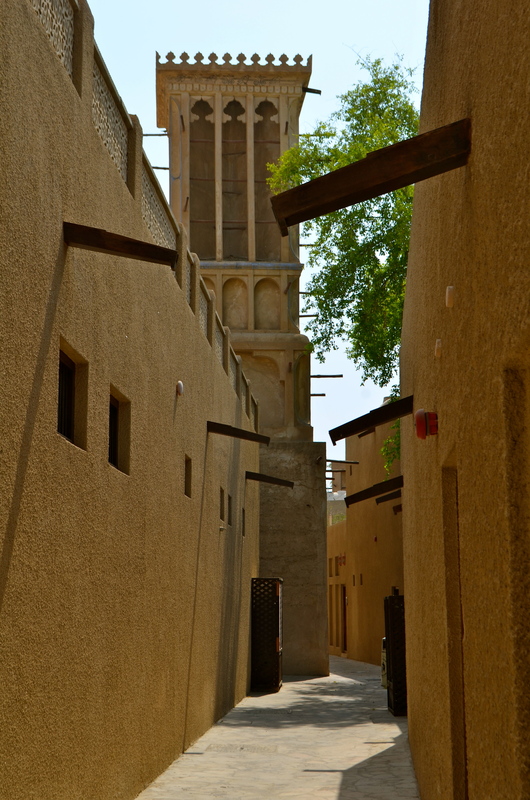 The tourists weren’t just any old tourists, they were the romantics. They wrote masterpieces, this dunce writes this blog. One dark and stormy night, the literary group bet that they could write as a gothic fiction novel that was as good or better than the then-popular cheap works. 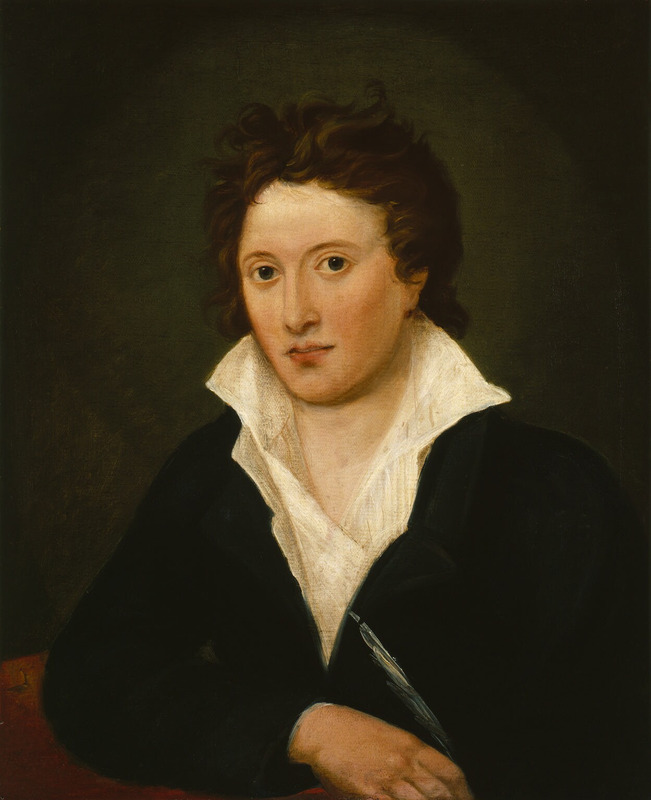 The others, Lord Byron, Percy Blythe Shelley and Claire Clairmont were all able to come up with a story quite quickly. Mary Godwin was not. After an evening of conversation about reanimating human bodies using electrical currents, 18 year-old Mary Godwin dreamt of corpses coming back to life and the image of Frankenstein. She woke up and wrote a short story about her dream. She ended up marrying Percy Blythe Shelley, becoming Mary Shelley. He encouraged her to expand the short story into a full-length novel. 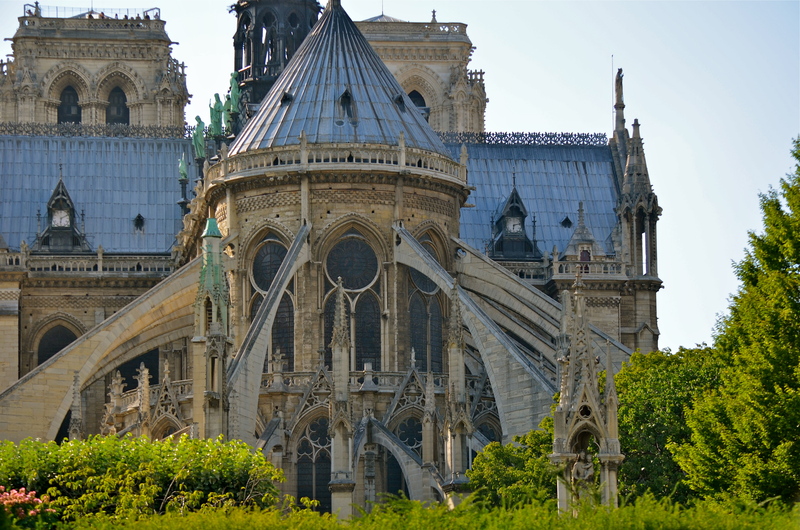 It became one of the greatest literary creations of the regency period and the first gothic novel. 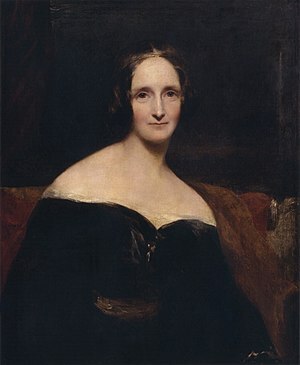 Mary Shelley was taken with the area’s beauty, describing color of the lake, “blue as the heavens which it reflects.” She visited many of the area’s tourist attractions and they feature in the story. Victor Frankenstein is from Geneva. She took the traditional iron tram from Chamonix to the The Mer de Glace (Sea of Ice) on Mont Blanc. According to legend, she used this spectacular, icy landscape as the backdrop for the meeting between Victor Frankenstein and his maker. Victor Frankenstein’s home is called “Belrive.” Villa Diodati, the manor where Byron, Shelley and company stayed, was originally named Villa Belle Rive. Why drive to visit a brewery when you can hike there? We had visitors who were up for a little physical activity so we set off. 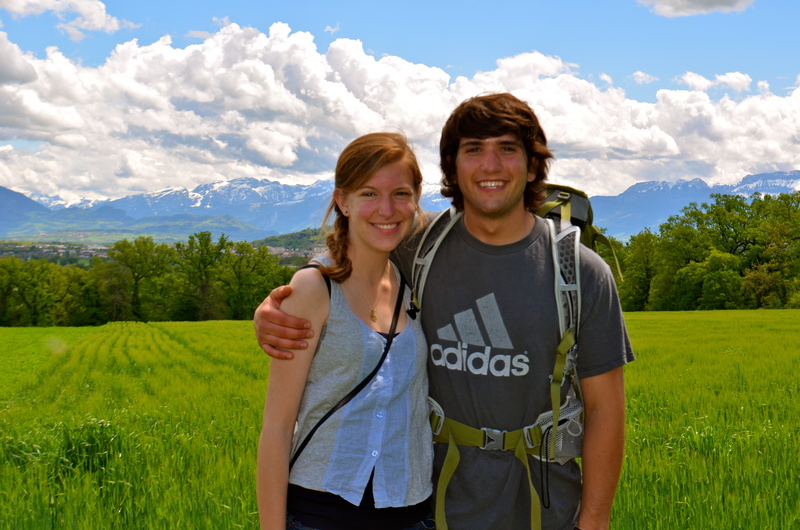 We arrived at the Brasserie des Murailles after they had closed, but had a wonderful hike. You may notice that isn’t us. We had Mr. Rome and Ms. Barcelona with us. Although we’d never met them before picking them up at the train station, we (and all our friends) loved having them around. We set off from the center of Geneva. The lakefront was beautiful. 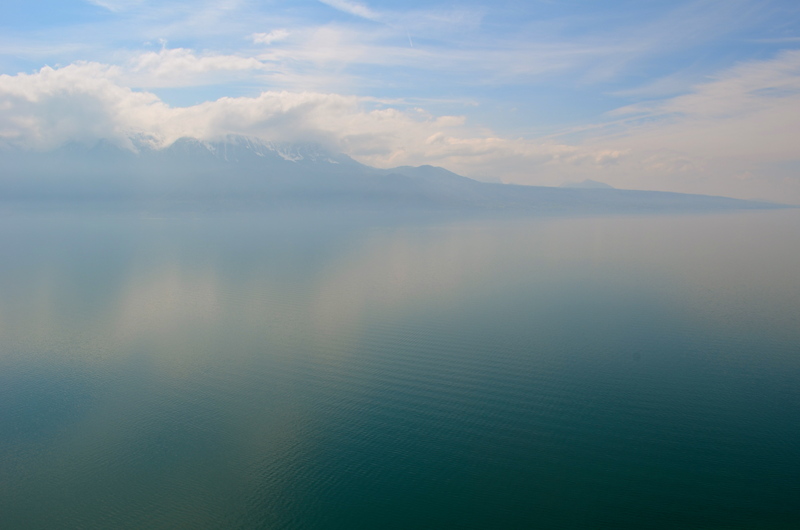 Once you turn away from the Lake Geneva, there is nowhere to go but up…literally. 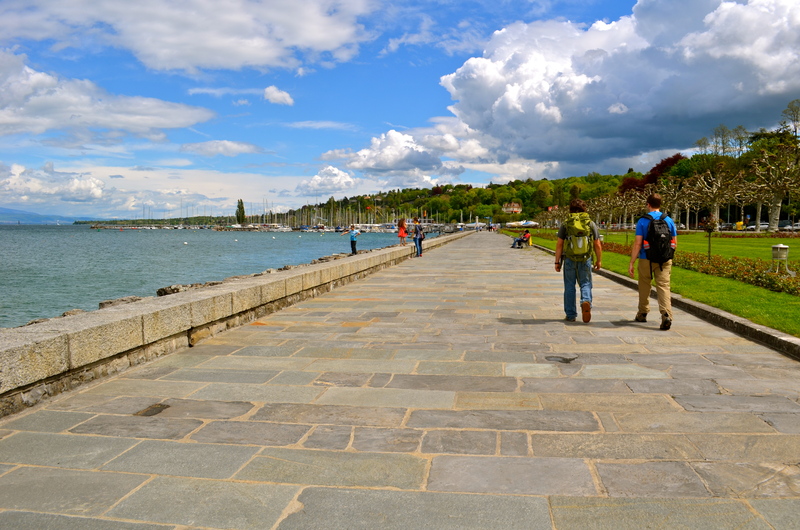 Whether on bike or on foot, anywhere you head from Geneva’s lakefront, you climb. It’s unavoidable. The good news is that it doesn’t last forever. Soon, we were higher, cooler and out of the city. Switzerland is committed to remaining neutral. Only 1/3 of its land is cultivable. As a result, farms are subsidized and farmers act as stewards of the land. 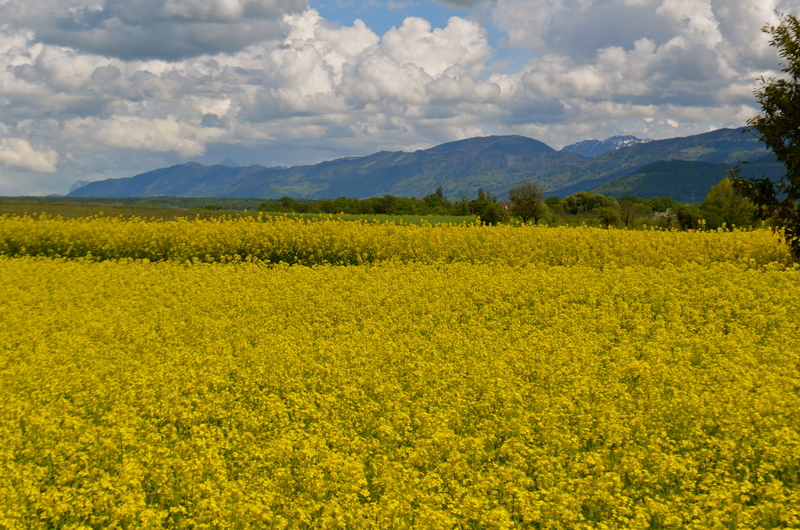 It also means that it is almost impossible to build on farmland in Switzerland, limiting urban sprawl. It doesn’t take long to get out of the city and into farmland. 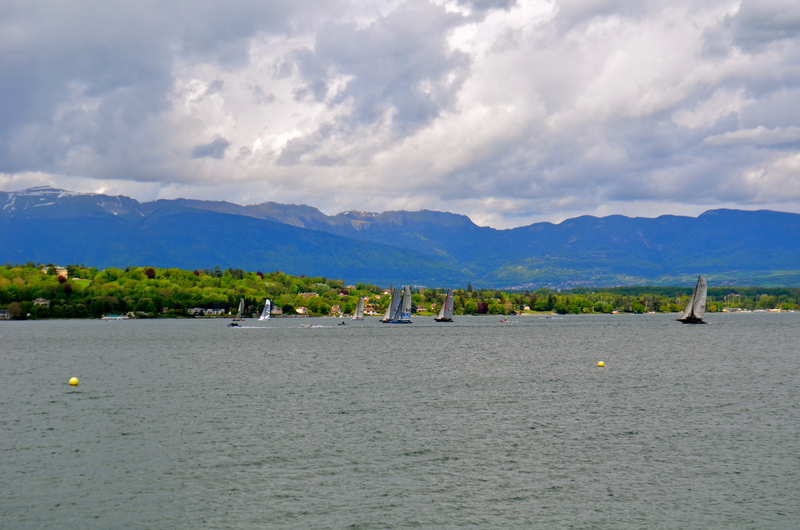 Geneva’s mountains are astoundingly beautiful. It’s countryside is pretty all right too. Although it isn’t as dramatic as the mountain scenery, there is always something interesting to see. 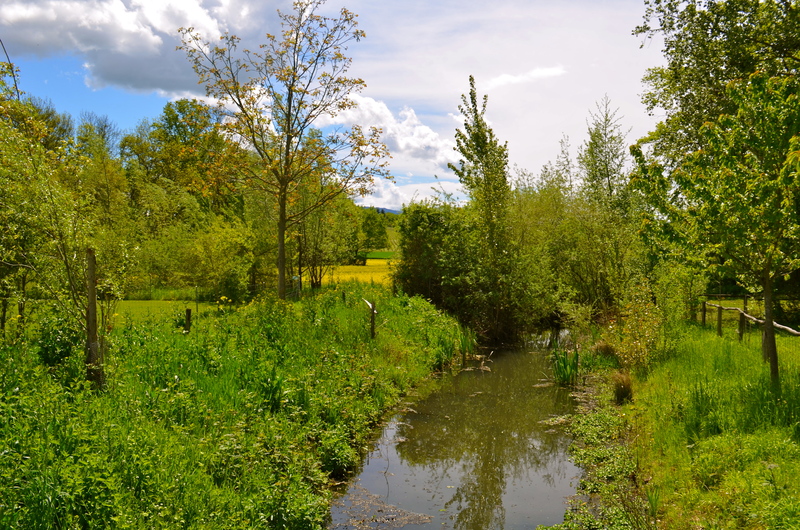 We paused over vineyards, horses, beekeepers, to check out frogs in streams, to examine crops and check out the colza fields. 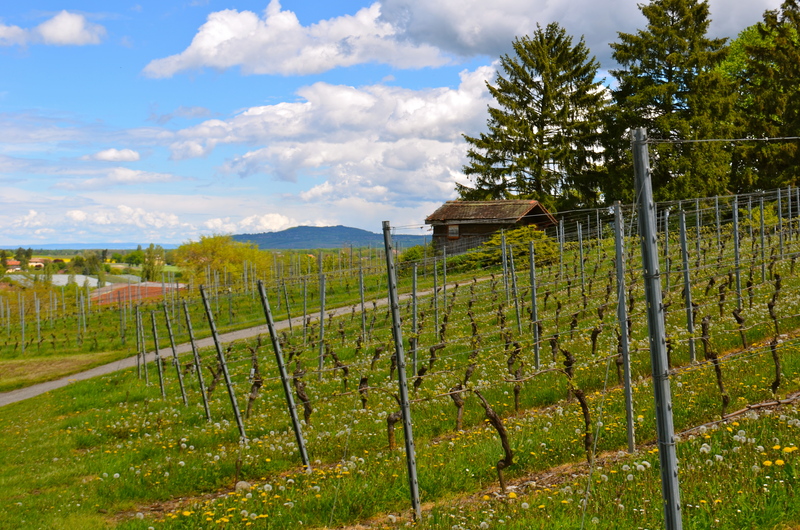 We loved that behind the fields and vineyards, the mountains were almost always visible. 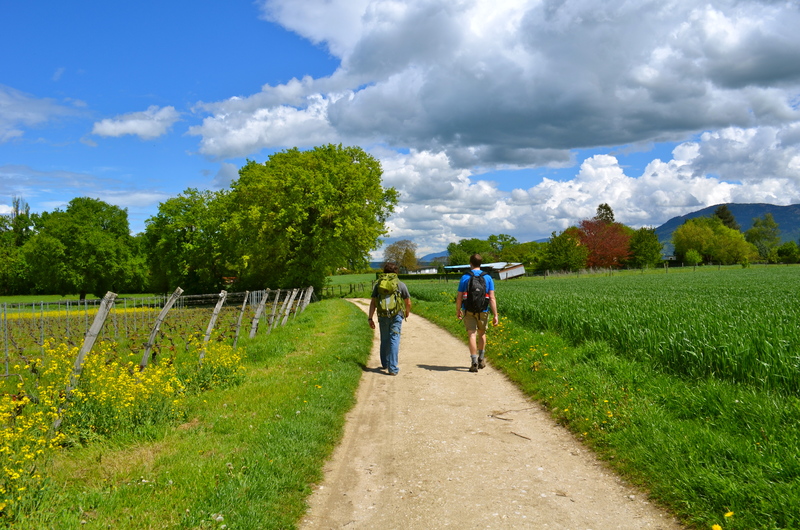 Depending on the direction, they were either the Alps with Mont Blanc, the Jura or Le Salève. Not too shabby. There are no shortcuts. What you get out of it is what you put into it. I am a nicer person when I’ve run all the piss and vinegar out of me. I swear it’s true, just ask him. I love how train running forces me to be in the moment. To avoid roots, holes, etc. I must be hyper-aware of my surroundings. My brain can’t make grocery lists or worry about trivialities. That being said… While I am thinking about getting up the hill, my subconscious works on things. I am almost a midget little person. There aren’t many activities where I get to feel physically powerful, running is one of them. Catching (and dropping) a couple of big, strong guys running up a giant hill yesterday brought me my first smile of the run (FYI, Switzerland isn’t flat). You don’t have to be pretty or dress up. Most of my favorite things to do necessitate a shower and don’t require makeup. 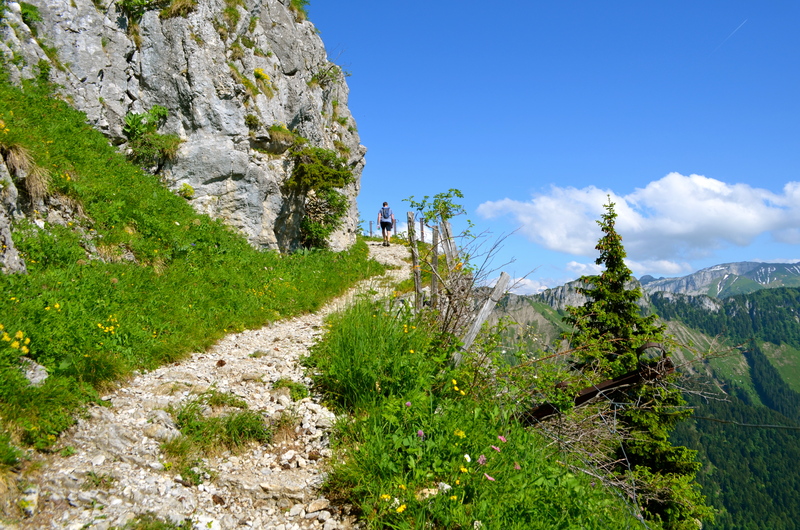 Running, cycling, hiking, painting, skiing, gardening…you get the idea. Not everyone is lucky enough to be able to run. Even when my day is bad, if I am still healthy enough and safe enough to have the opportunity to run. It reminds me that I am pretty lucky. Gettin’ high. Who doesn’t love themselves some runner’s high? You don’t have to wait for the gym to open. You don’t even need a gym membership. There’s no fancy equipment. All you need is a good sports bra (or two if you are double-bagging) and you are off and running…literally. I love being outside. 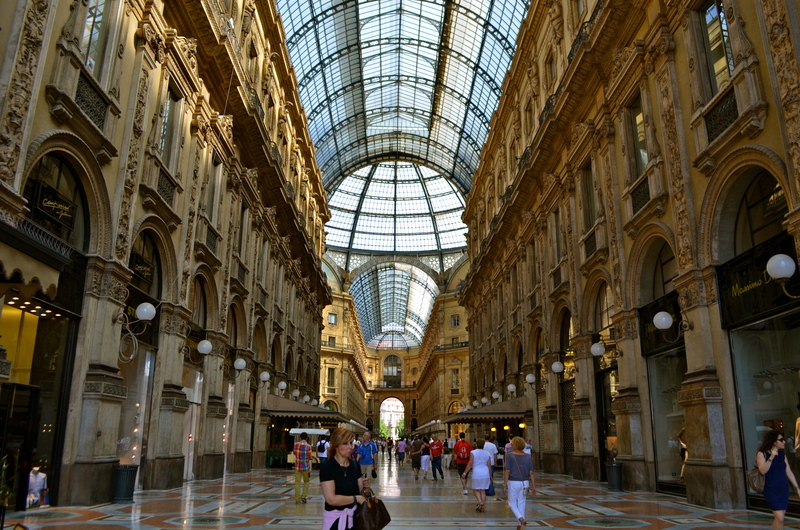 It is a great way to experience beautiful places. Some of my favorite runs have been on vacations, but I could probably wax have waxed nostalgic about my high school cross-country course too. Running has taught me how to break down a big task into smaller manageable ones. A marathon training program is a series of smaller activities that add up to something huge. Energy begets energy. It’s true. I have no natural gift for running, but the longer I do it, the better I get. I am one of those who will have to age into her Boston Marathon qualifying time. I’m okay with that. I should be so lucky as to be the last woman standing running. I love to eat and would be overweight if I didn’t exercise. Period. Better nutrition. Running also helps me to make healthy choices. I may not be smart, but I learn from my mistakes. Eating fried pickles (dipped in copious amounts of ranch and bleu cheese) and sweet potato fries (dipped in honey mustard) for dinner the night before a long run was a mistake I will only make once. I don’t eat as much crap when I know it will feel like it (yes crap, a pile of steaming poo) on the next day’s run. Decent food nourishes me and allows me to have the energy, the stamina to do long runs. The camaraderie. In Geneva, I have run by myself. Our incessant traveling has gotten in the way of joining a weekend running group. It is better for the blog, but worse for socializing. In North Carolina I used to gleefully hop out of bed well before dawn to go meet my running group. I am not a morning person and can’t function without a cup of coffee, but even without coffee I would be excited to go (and not just for the caffeine in the GU’s). It’s a challenge. Challenges are good for us. They teach us how to push ourselves beyond our limits. Running has taught me about strength, how to push myself, that I am capable of more and how complaining doesn’t help (even if I still do it). Trying something new and pushing beyond our comfort zone, even if it is hard, is good for us. It can also be habit-forming tackling one challenge makes me want to tackle others. I am always happier at the end of the run than at the beginning. It is (almost) never because the run is over. Running is a great stress reliever. I love the sense of accomplishment. Even if I did nothing else productive during the day, knocking out some miles is a measurable, quantifiable accomplishment. It is something that I do for me. I like to help others, but running is something I do because I love it. There aren’t many things (or weren’t until we started travelling so much) that I do just because I want to. I love a good project. Training for a race, particularly a marathon, is definitely a good project. It’s easy. I am short and have no coordination. You don’t even want me in right field. Any sport with a moving ball is out of the question. Running = a sport for the uncoordinated. It is a great way to explore. I have learned how to navigate Geneva and the surrounding area not by studying a map, but by running its streets. I am constantly intrigued by what I see. Sometimes I even run back with a camera to take pictures of cool stuff for the blog. It is supposed to be good for my health. Running here, I get to see more men in spandex. Who doesn’t love an hour (or more) with a rockin’ playlist? Sorry, the photo above is an old pic. I didn’t bring my camera. I should have. Yesterday was clearer and even more beautiful. 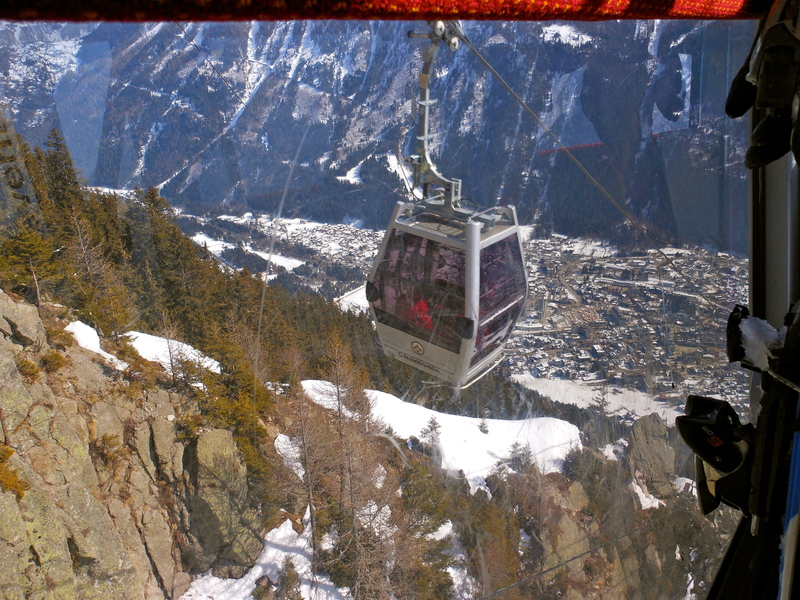 Téléphérique, an aerial tramway or gondola that consists of a cabin suspended from a cable. We take them to get to the slopes from where we parked, up the slopes (we were extremely grateful for the enclosure during the cold snap), and even in between mountains! Chairlifts where open chairs are hauled above the ground by means of a cable. 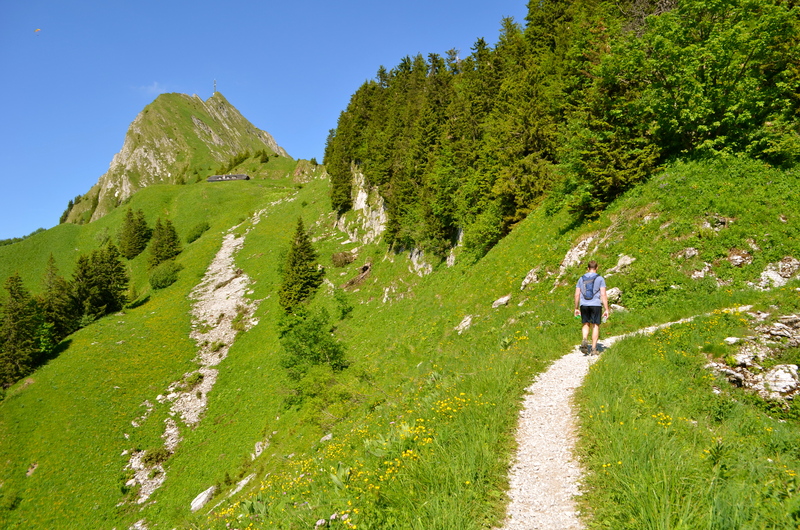 One of the things that we love about Switzerland is that the mountains are so accessible. 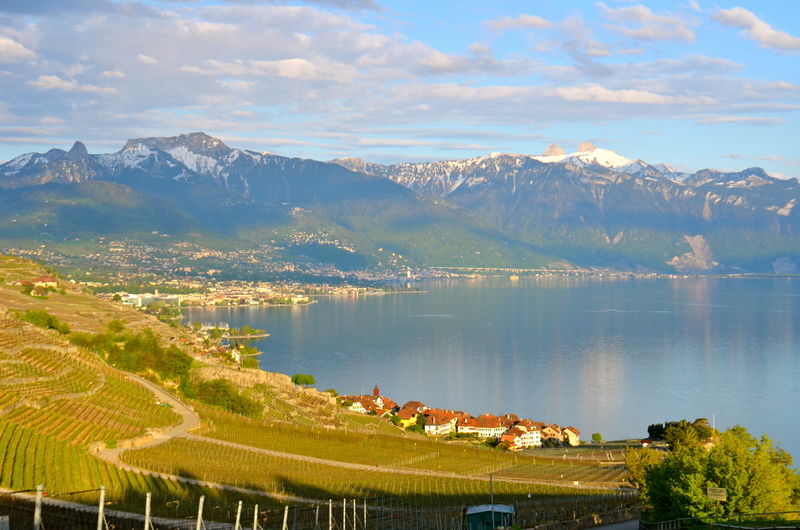 It takes only an hour or two to get from a major city like Geneva onto a remote mountain. Part of the reason the country is so accessible is its outstanding infrastructure. 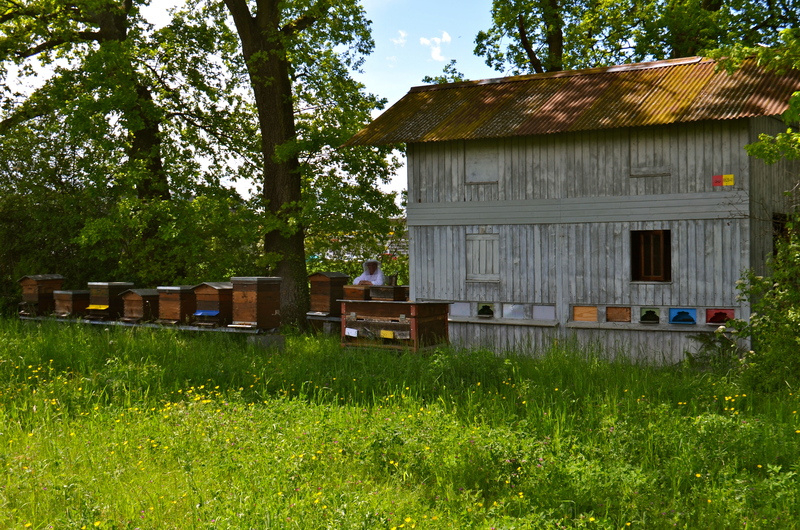 The Swiss try to take advantage of all of their land…and do a pretty good job of it. They build highways, tunnels and cable cars everywhere. 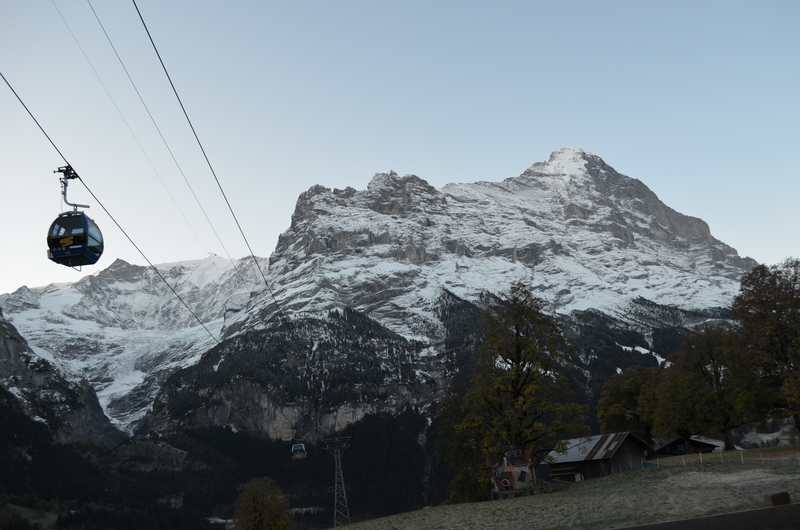 There are over 130 cable cars in Switzerland. For that matter, the French at Mt. Blanc and the ski resorts in the French Alps do a pretty good job too. When we first moved here, I was always uneasy in cable cars. I kept of when the American pilot clipped the line of the cable car in Cavalese, Italy in 1998, killing 20. I’d heard stories of cable cars falling in France and Italy in the 1980’s. When I get on a plane, I remind myself that it is safer than driving. Although I don’t have any stats, cable cars must also be. Now, we have taken them so many times, that I don’t think about it any more than getting on a bus. Besides, they have better views than most busses. Just don’t look down. 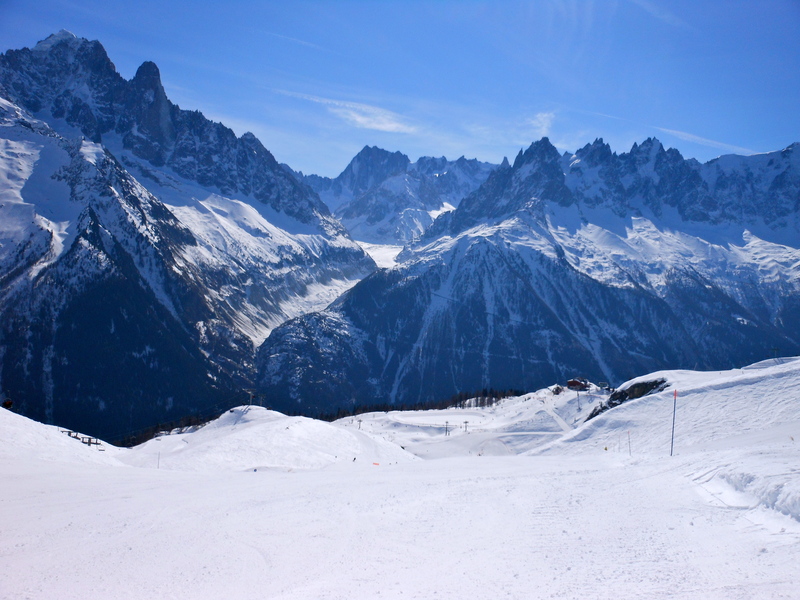 Chamonix hosted the first Winter Olympics in 1924, so it was a no brainer. We knew we had to go check it out. Unfortunately, we didn’t know much about it. The day before skiing Chamonix, I did a bit of research to figure out where to go. 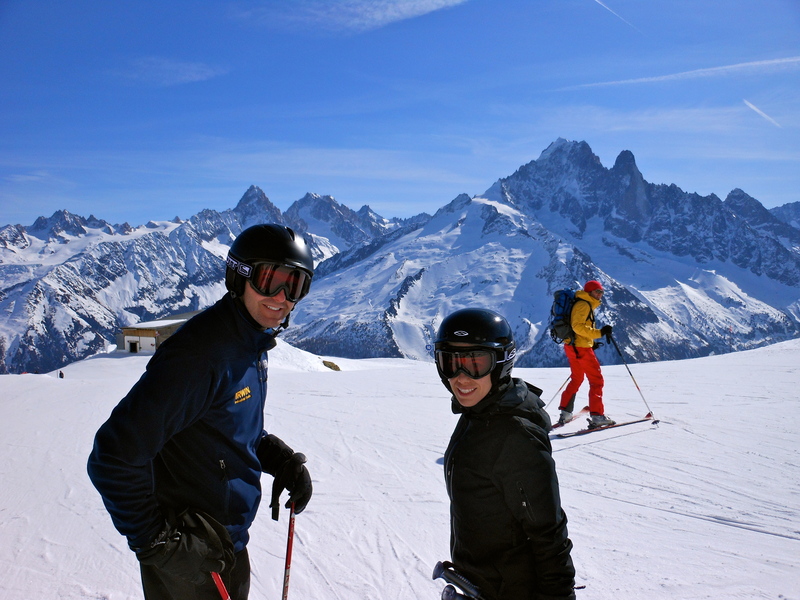 Chamonix is a valley and there are many different places to ski. 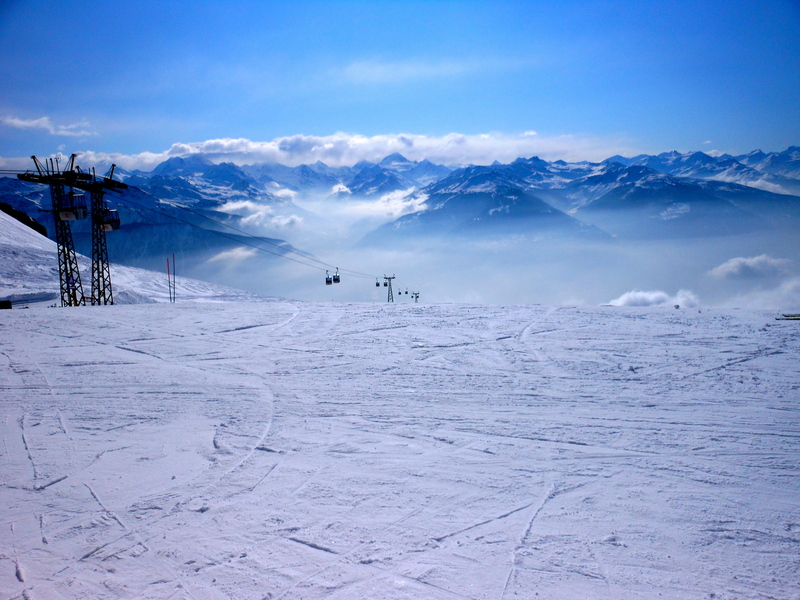 Unlike, Saas Fee, Crans Montana, or La Clusaz, there are separate ski resorts, each with their own characteristics and character. 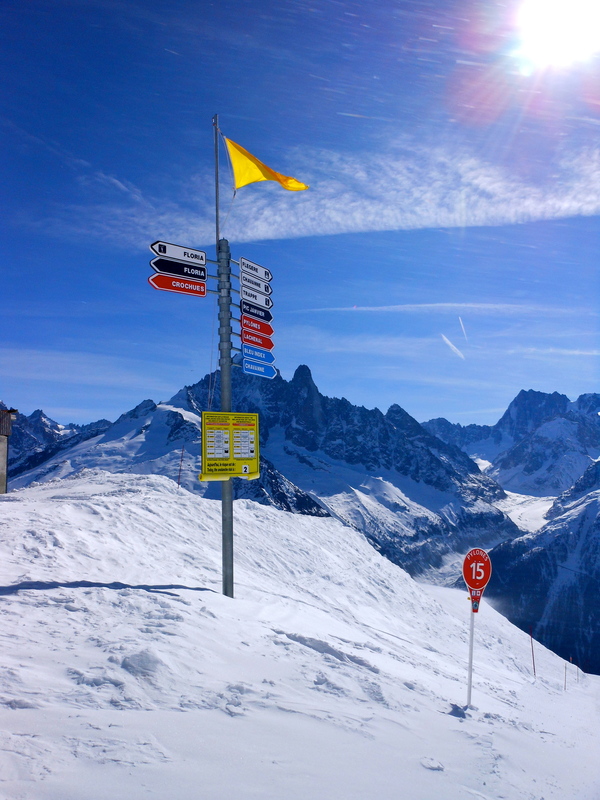 Grands Montets – This is one world’s most renowned ski areas with runs for all levels. 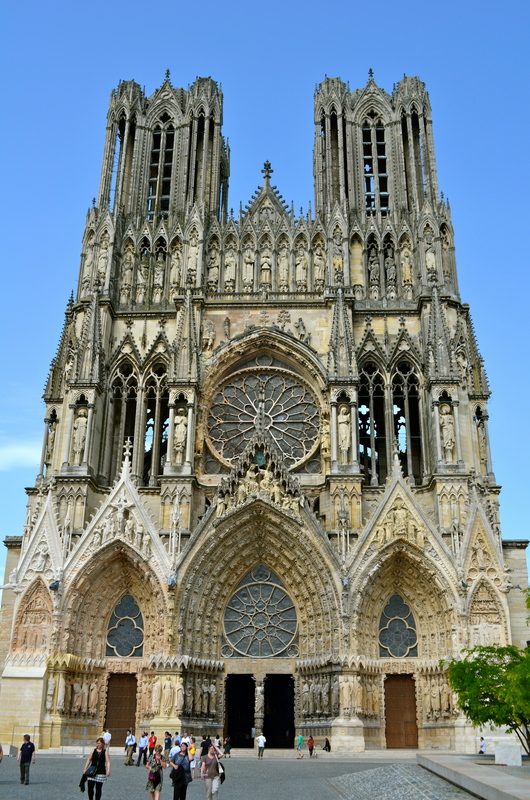 It is located on the southern side of the valley (translate that into it’s not too sunny). It is also means that its north face has good snow. It is one of the Chamonix’s most famous resorts. 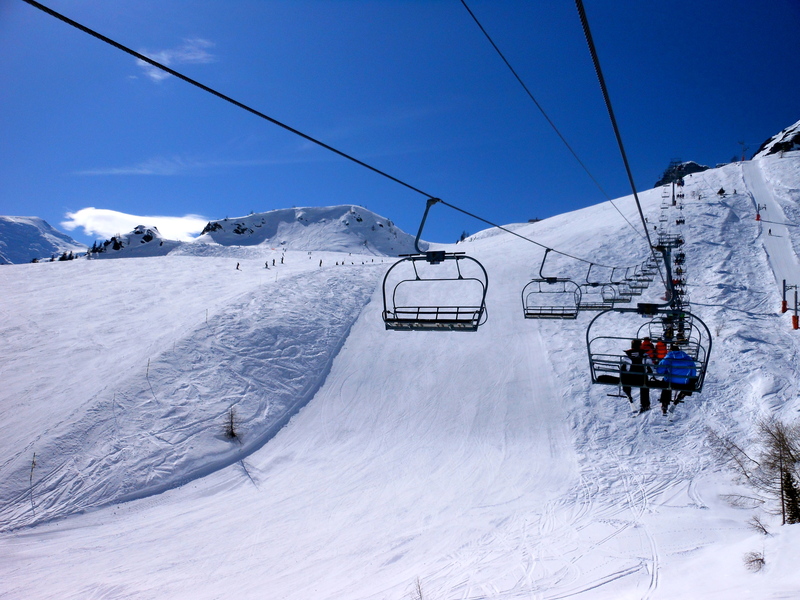 It has a snow park with a skier/boarder cross course with various tabletop jumps and rails. It is open all season. People go hard and fast here, really hard, really fast. Experts enjoy the lift that heads 10,820 feet (3 297.9 meters) to some of the world’s steepest, most technically demanding runs. We’re not that good yet, maybe next year. 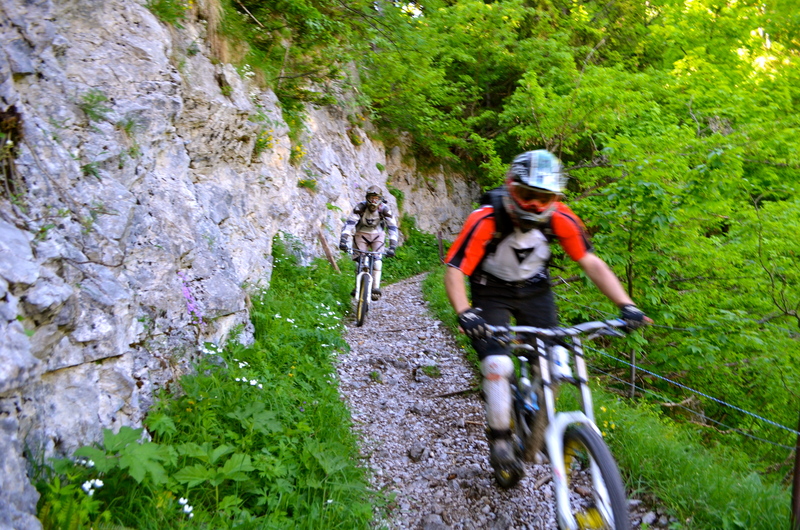 Les Houches – The upper part is sunny, glorious in the afternoon and good for beginners. The lower part, below the tree line, doesn’t receive direct sunlight, shielding skiers on windy days. 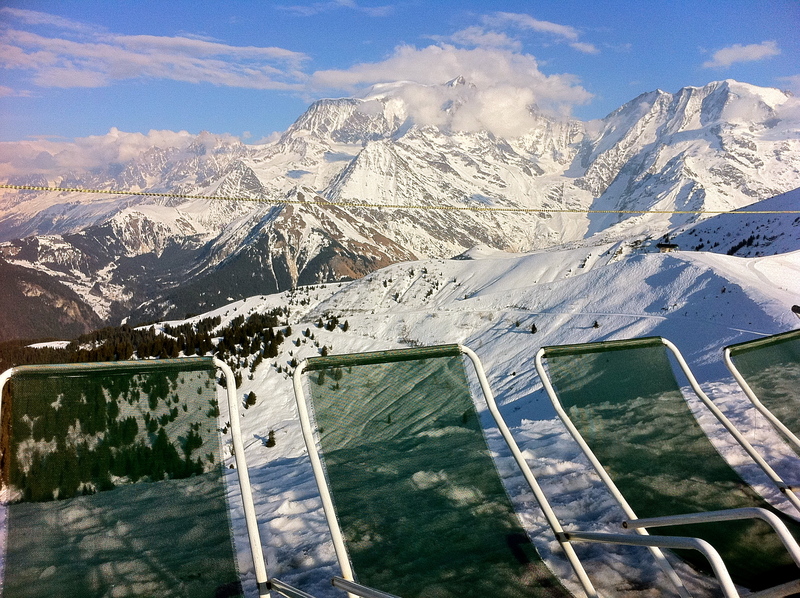 La Flégère – Its location on the northern side of the valley ensures plenty of sun, attracting people on colder days. 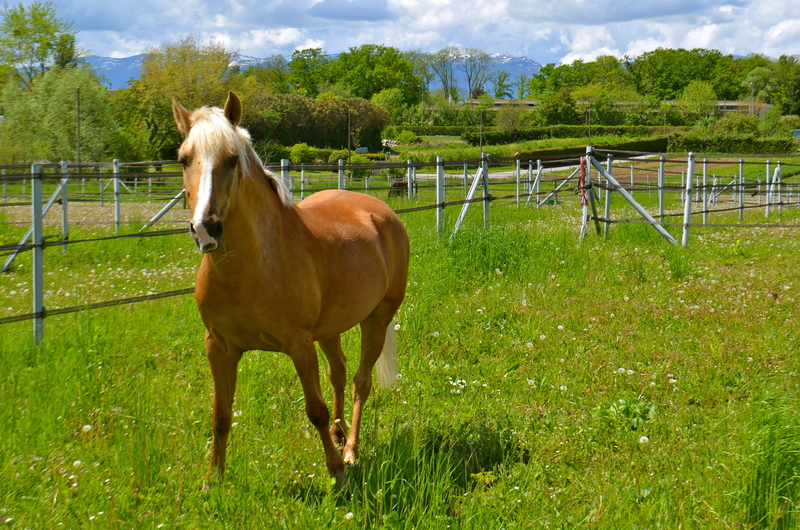 Its northern location also yields astounding views of the valley and Mont Blanc. This is a haven for snowboarders (freestylers will be very happy) and has great natural terrain for it. 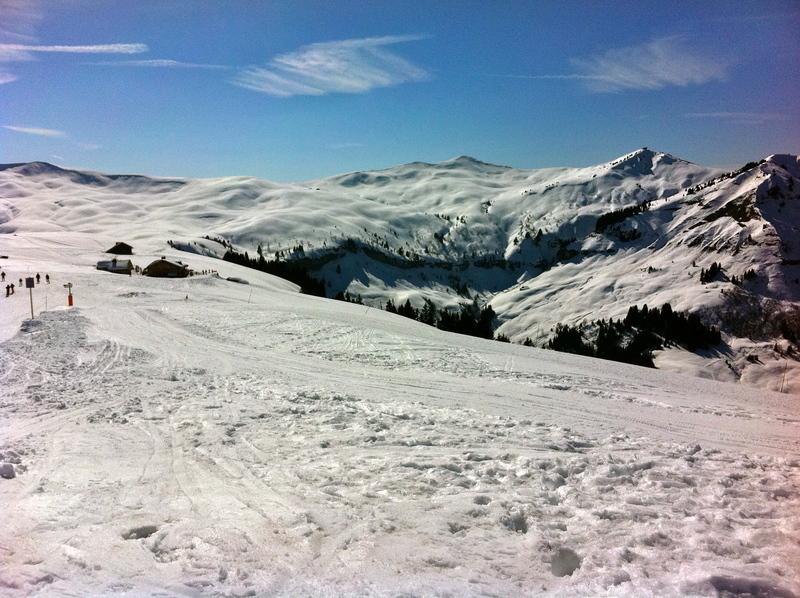 It has skiing for a variety lf levels and is a great starting point. 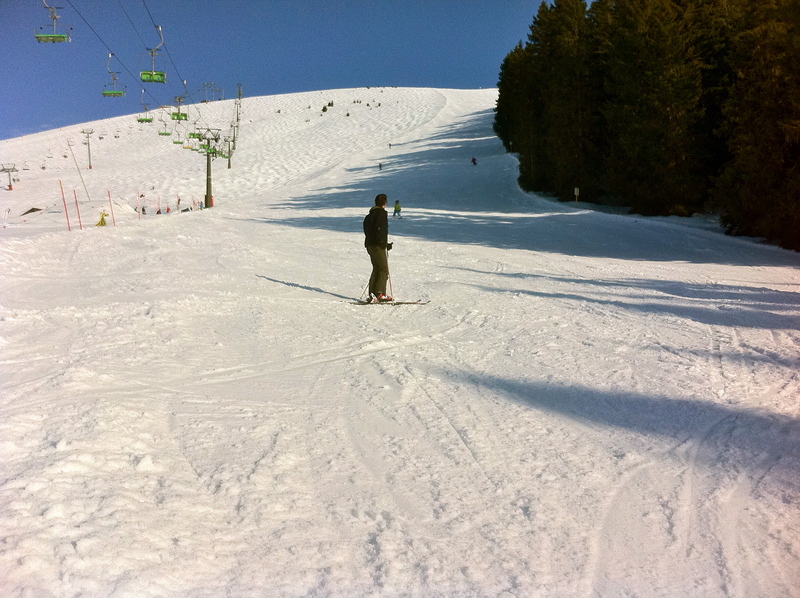 The pistes are the valley’s best maintained. Le Brévent – Le Brévent is on the northern side of the valley above downtown Chamonix. 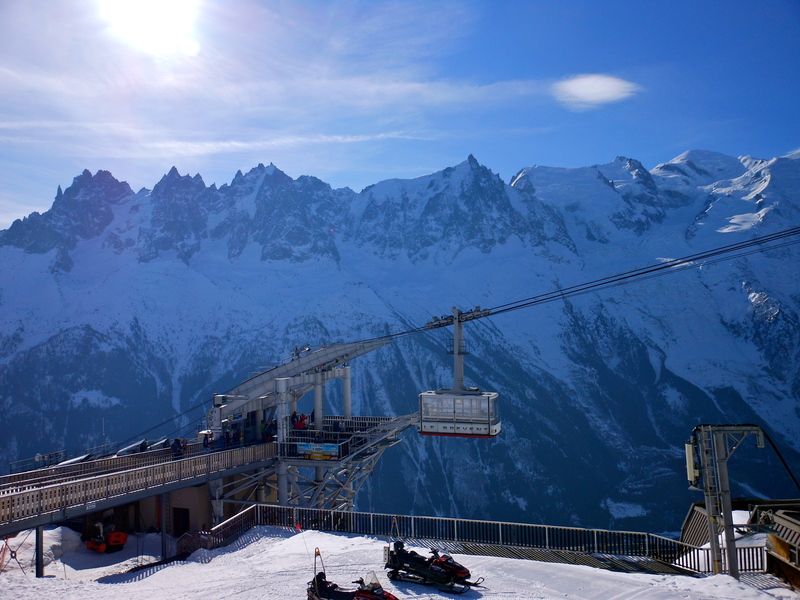 Its southern face lots of sunshine and spectacular views across the valley to Mont Blanc and the Aiguille du Midi. It has something for all levels of skiers and boarders. 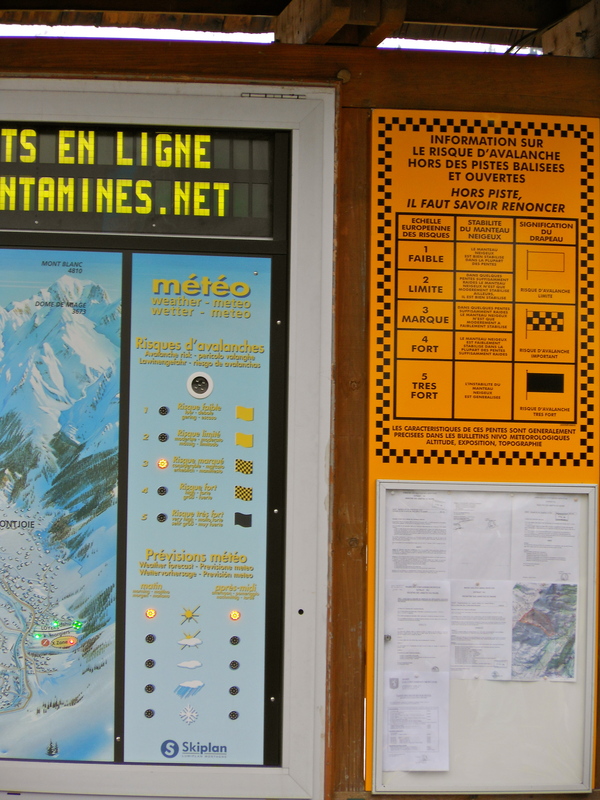 While it is not large, there is a cable car link to La Flégère. We skied both. L’Aiguille du Midi/La Vallee Blanche – The Aiguille du Midi is on of the most famous runs in the world, Valley Blanche. 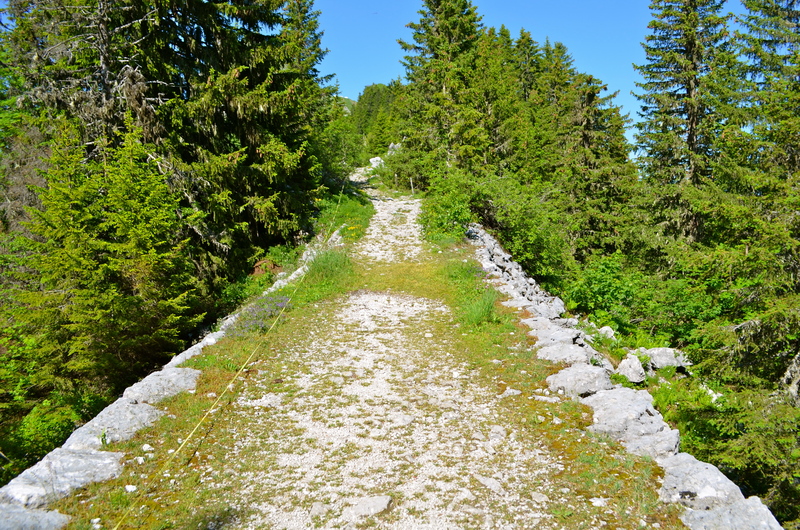 It is 10.5 miles (17 km) long with a decrease in altitude of 12601 feet (3841 meters) into Chamonix. 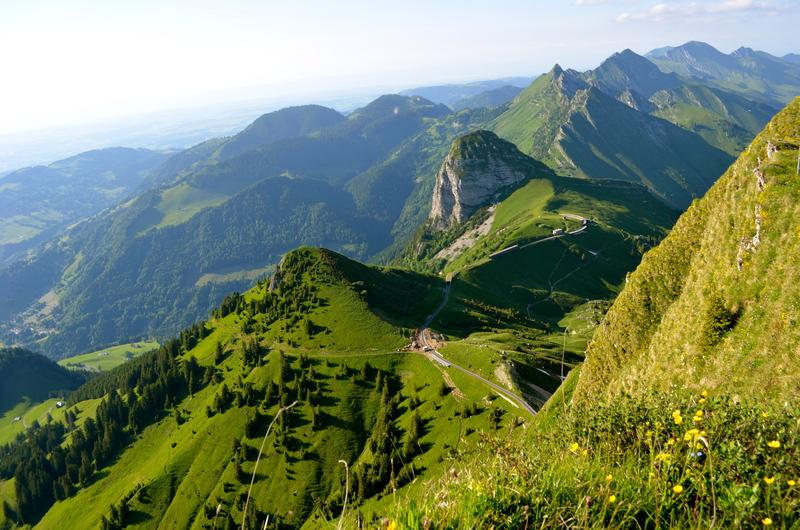 The real star is the incredible alpine scenery. While this epic run isn’t appropriate for beginners, advanced, or even upper intermediate skiers who very fit can ski this piste. While guides are not required, they are recommended in this potentially dangerous environment to avoid danger. Snowboarders should seek advice on equipment before attempting this. You don’t want to be one of the ones that goes over the edge. 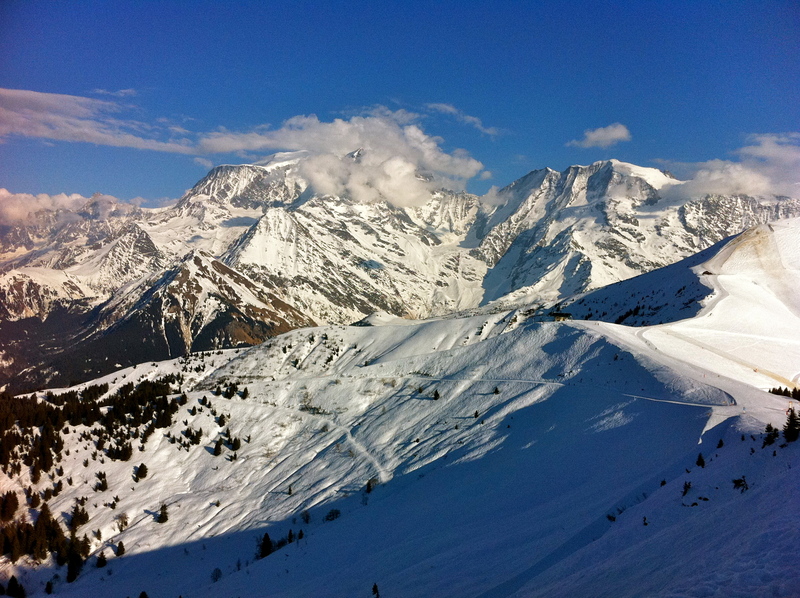 Le Tour – Snowboarders (especially freestylers) go for its sunny, wide-open slopes that are well above the tree line, with varied terrain and have great powder. There are also runs for beginners and families. 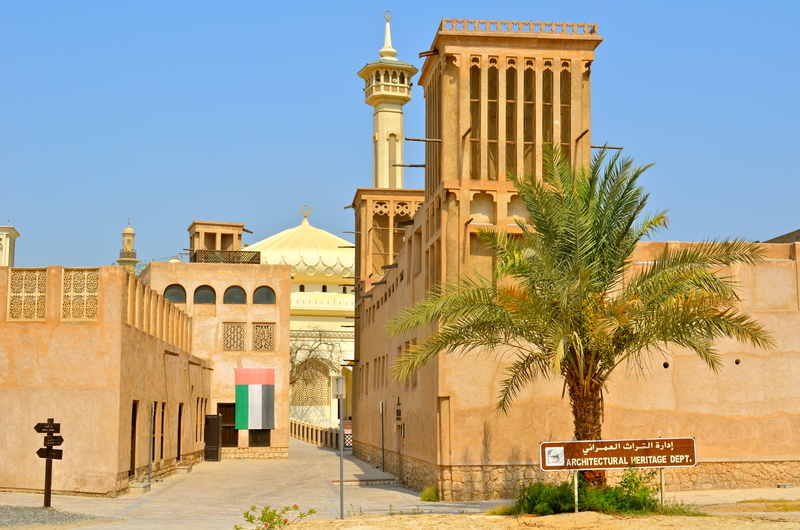 It is popular with locals. 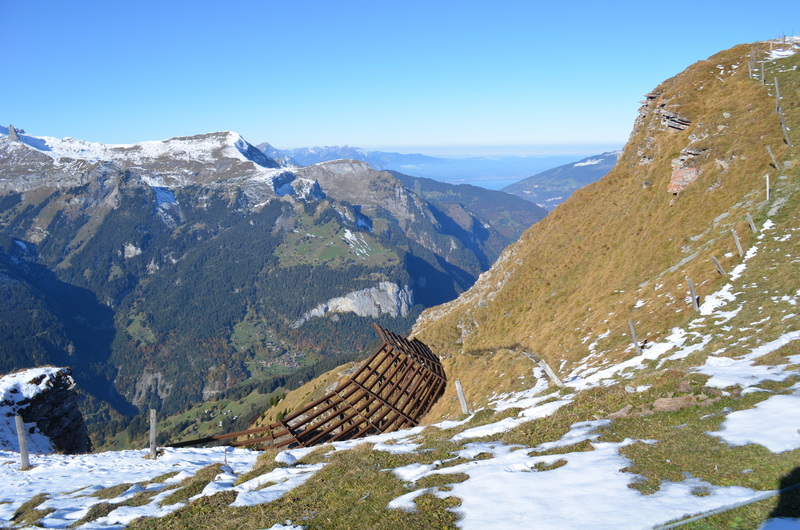 It was hard to get good information about Le Levancher (although it is slang for avalanche), Les Tines and Les Praz. Sorry. Perhaps someone will post it comments about them. Chamonix is an adorable town. In addition to skiing, it is a mecca for extreme sports like mountain climbing, ice climbing, rock climbing, extreme skiing, paragliding, rafting and canyoning. Mountain climber Mark Twight christened Chamonix “the death-sport capital of the world” because of its base for the large number of dangerous sports practiced there. The less adventurous can take a cable car up, sit and enjoy the view. Paragliding, What Could Possibly Go Wrong? 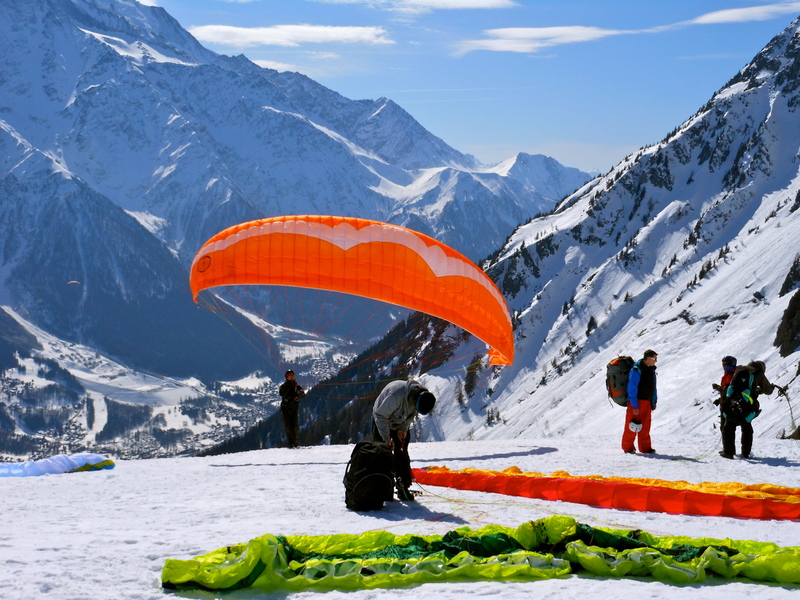 French, Germans and Swiss are paragliding enthusiasts. In this adventure vacation paradise, paragliding is huge. 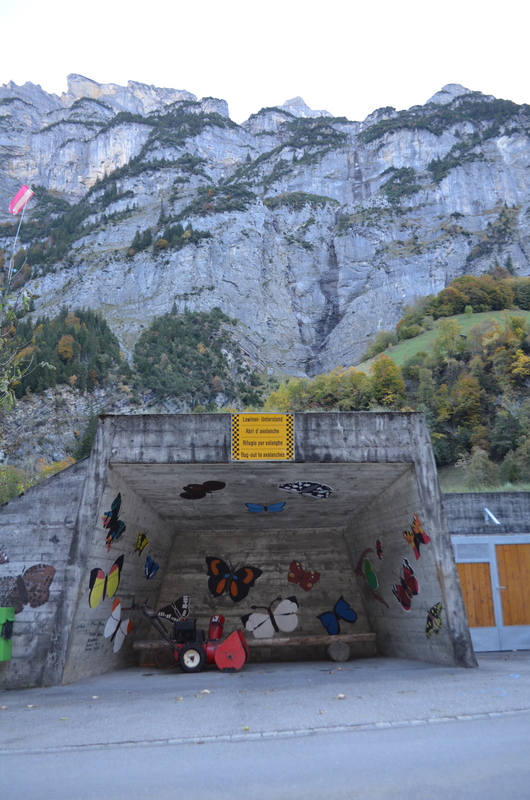 Many weekends (in summer and winter) we see paragliders soaring over valleys… from the (relative) safety of a mountain. 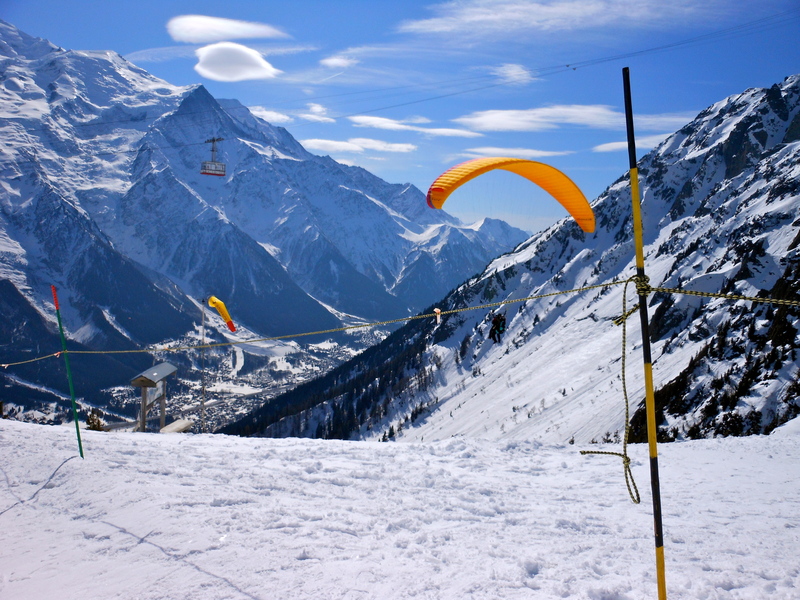 When we were skiing in Chamonix, we saw paragliders jump off the mountain! 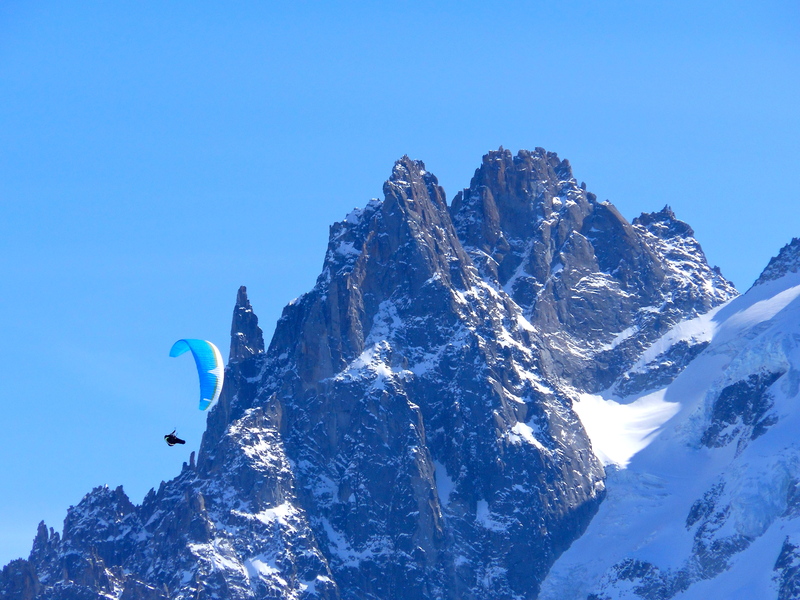 They soared over the valley next to Mont Blanc. We watched them from the cable car all the way down into town. Someone even landed down there wearing skis! It was impressive (sorry I couldn’t get a picture). Paragliding involves a manual launch, in other words, you run off the mountain! 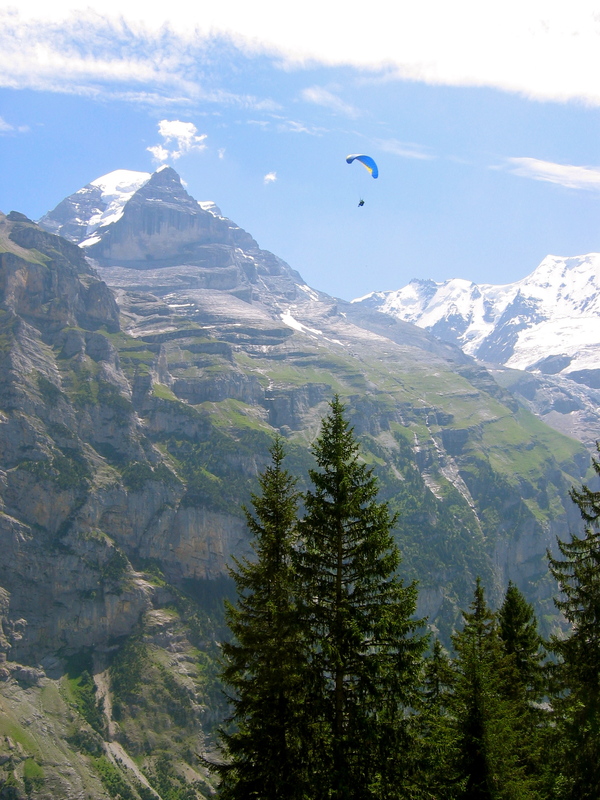 Paragliders have “flown” off almost all the US and Europe’s major peaks. 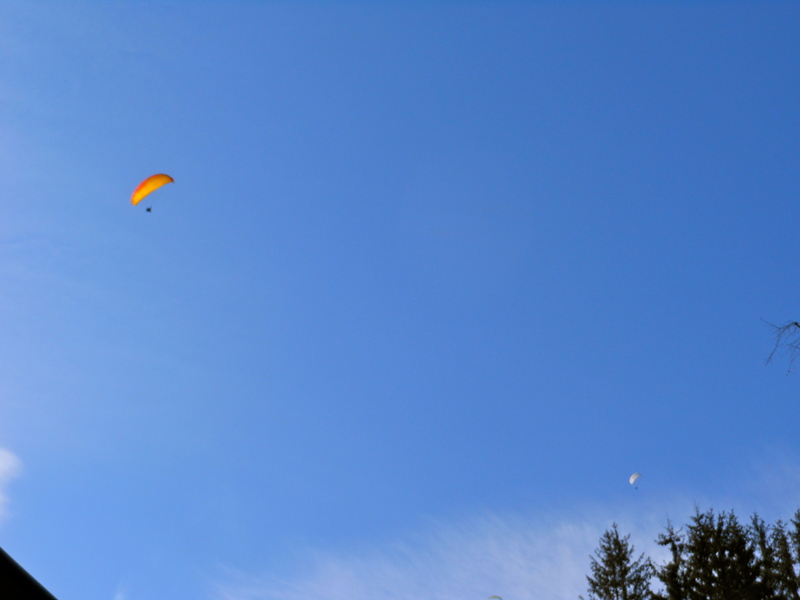 A couple of paragliders have even launched off Mt. Everest! 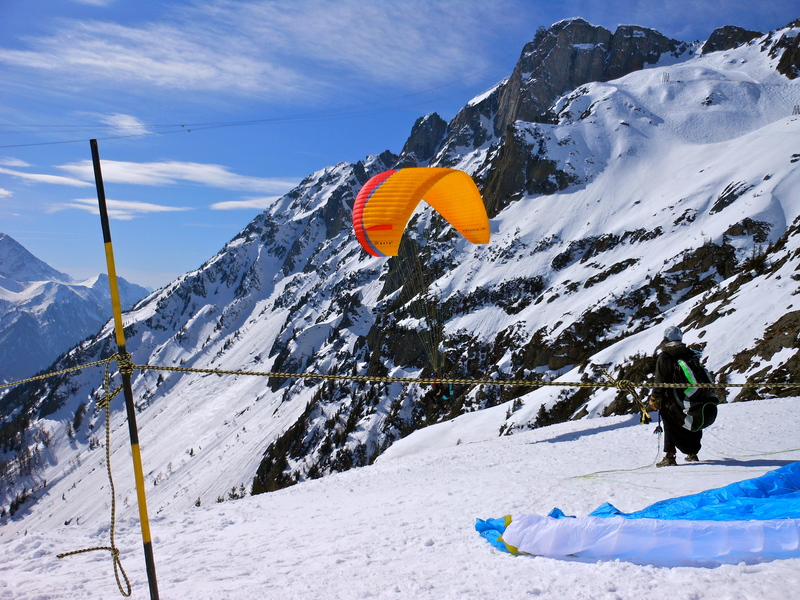 The paraglider, also known as the pilot, sits in a harness, manipulating the fabric wing made of rip-stop nylon to soar upwards on currents of air. They maneuver Kevlar suspension lines and to control the pressure of the air entering the vents to catch air currents to gain height and change direction. 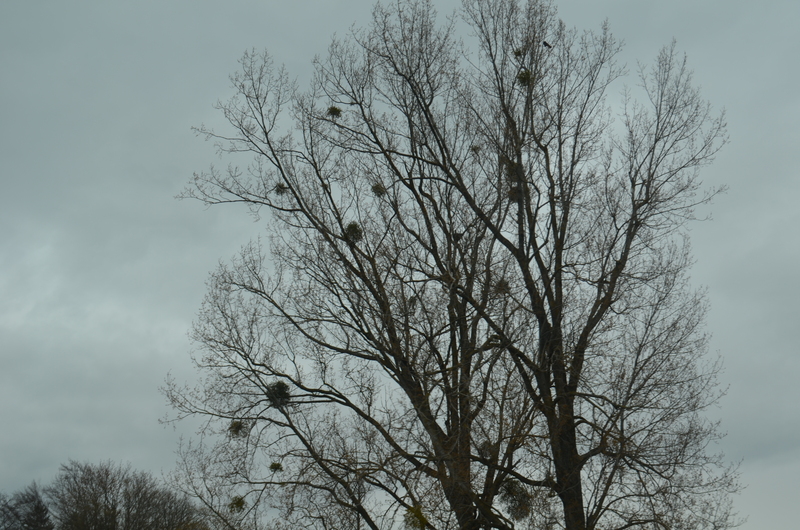 They can stay aloft for hours (the record is 11) and travel long distances (the record is 186.4 miles/300 km). We saw an introductory, tandem launch. Beginners must learn to launching, turning and landing to fly by themselves. Paragliders risk their lives by running off a precipice. As such, pre-flight is of paramount importance. They research the site, the weather forecast, and carry out pre-flight checks to their gear is in perfect condition and ready to deploy. 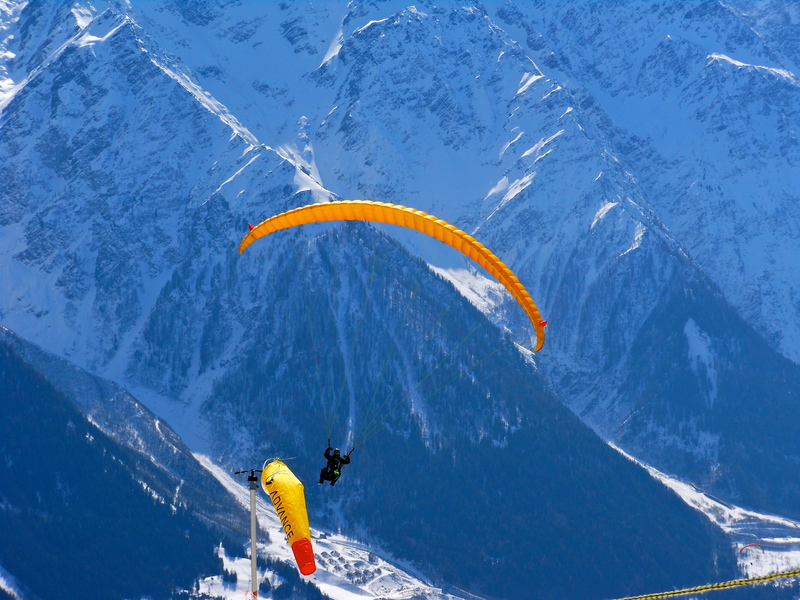 The maxim “it is better to be on the ground, wishing you were in the air rather than in the air, wishing you were on the ground” reminds paragliders to abort takeoff if their flight is compromised. We’d heard wonderful things about Megève and heard of its reputation as the “jewel” of French alpine ski resorts. 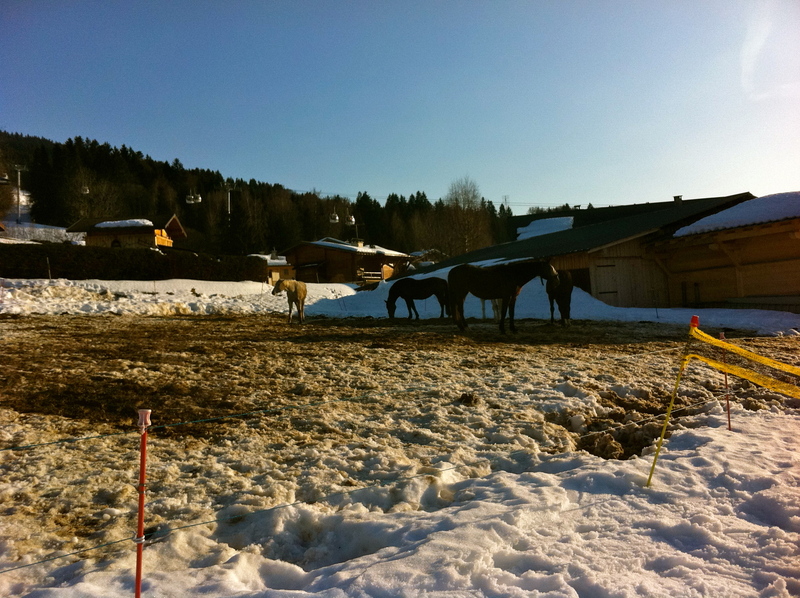 It’s a major ski resort and there are good reasons for Megève’s popularity. We had a great day skiing there last weekend. 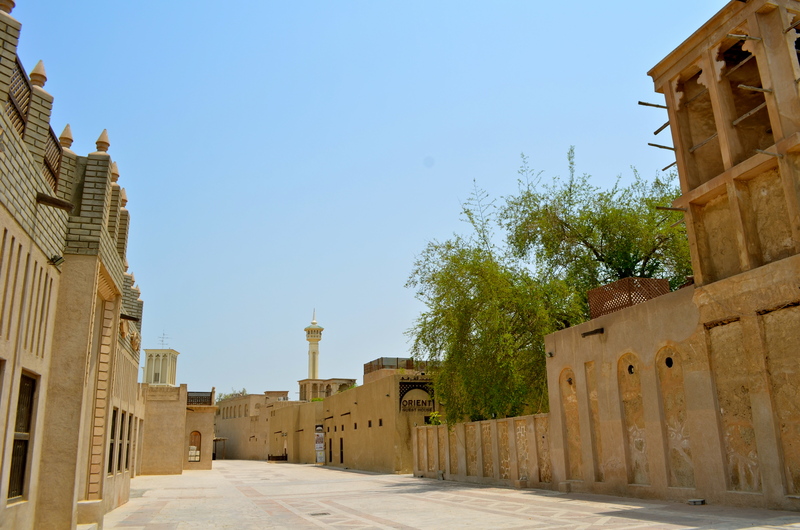 The wonderful weather and virtually cloudless skies didn’t hurt. 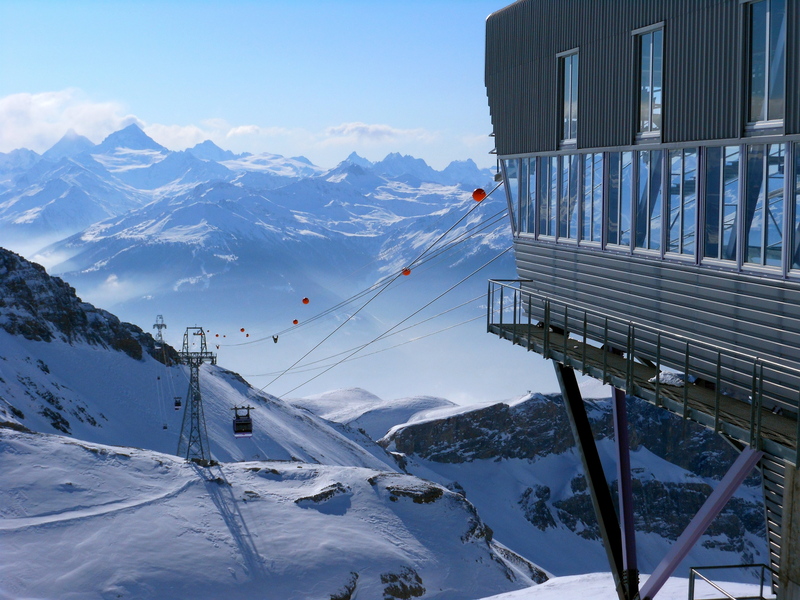 It offers fantastic skiing, stunning views, lots of restaurants and just about every convenience you can imagine. 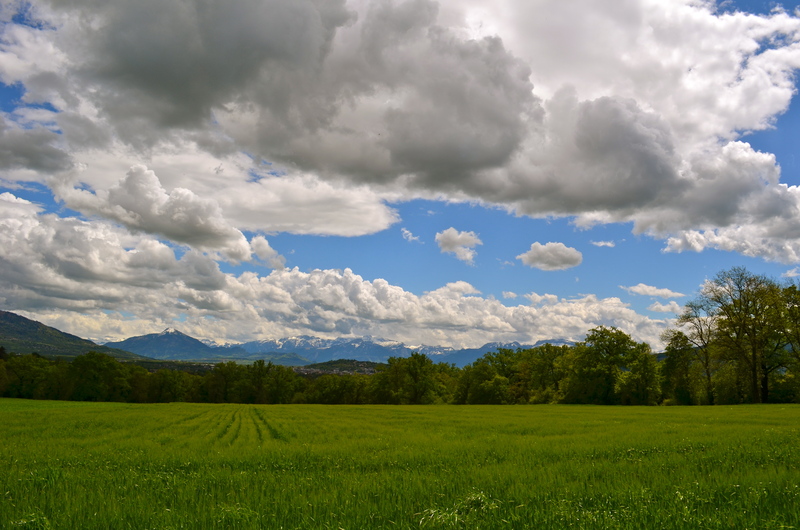 Its location is idyllic in the “Pays du Mont Blanc”. Many runs have a nice view of Mt. Blanc’s summit. 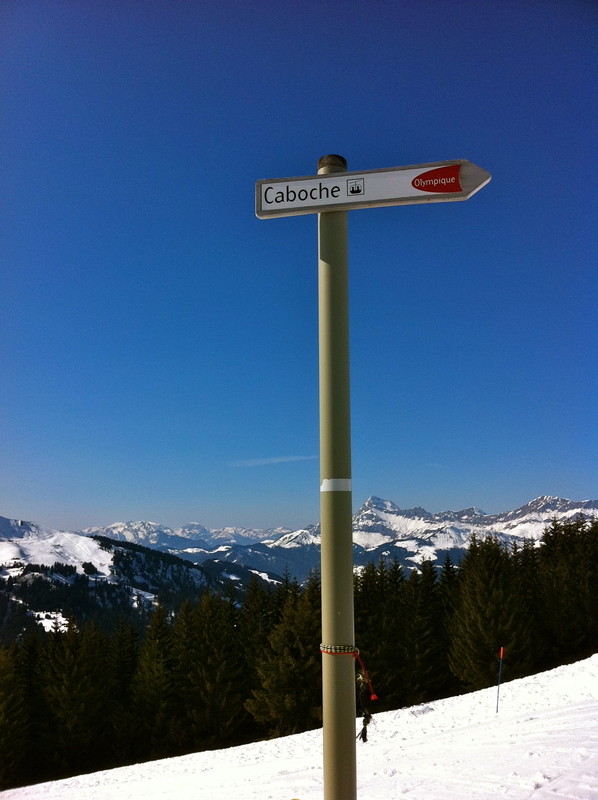 Many of the other resorts in the area, like Les Contamines, are above the tree line. 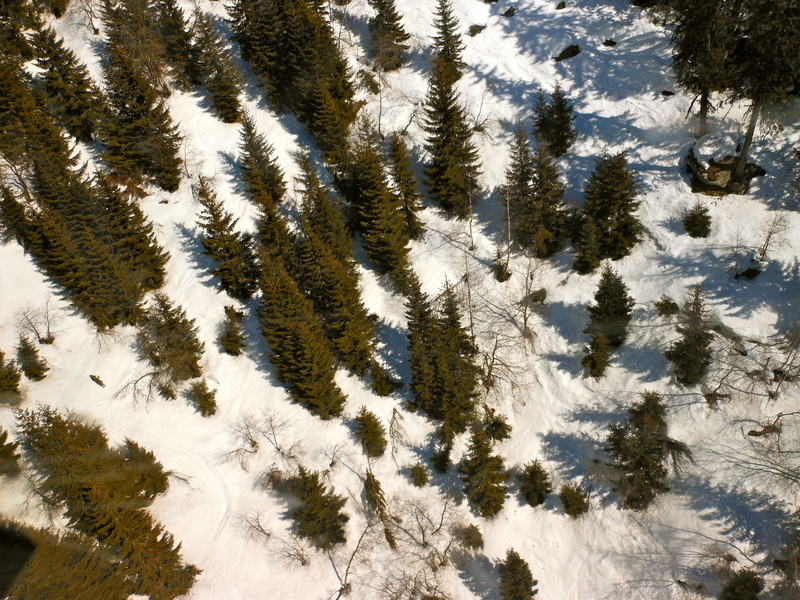 Megève has runs cut through the trees. It was quite busy, there were so many runs that we never felt that it was never crowded. 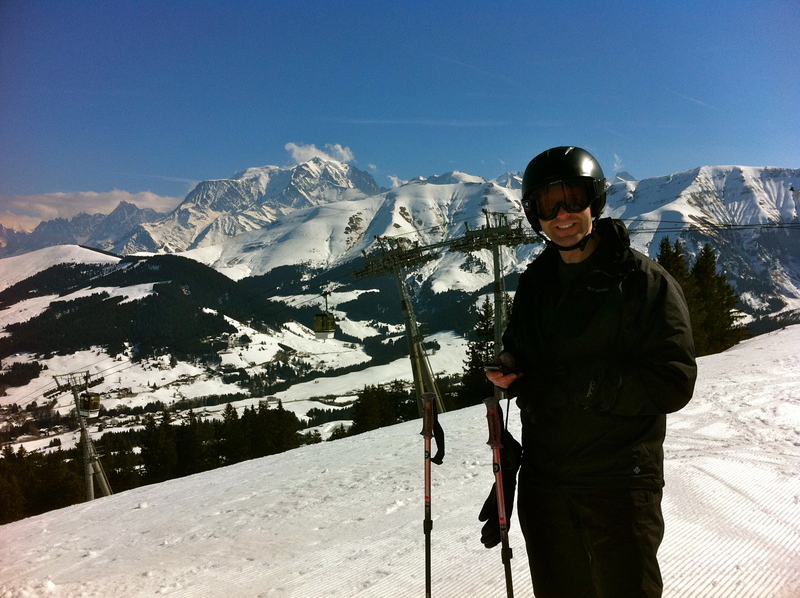 Megève offers great skiing for all levels. Megève’s slopes are have more easier runs than Chamonix or Courcheval’s. Don’t worry though, there are plenty of red and blacks. While there is plenty for beginners, the upper intermediate skiing terrain predominates and there are opportunities to go off piste. Although, if you read yesterday’s avalanche post and watched the videos, you may not want to. There are restaurants everywhere. The food, atmosphere and crowds vary. 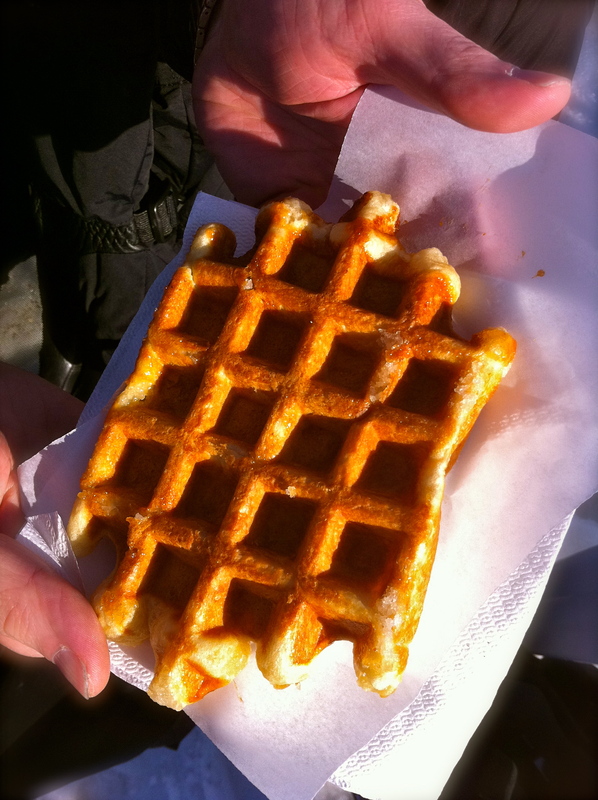 We got a later start on the slopes and just had a waffle (gauffre de Liege) at about 4:00. It was beyond tasty; the wonderful view of Mt. Blanc made it even better. By the end of the day, the snow at low altitudes was turning to slush. We realized that if this weather keeps up, we wouldn’t have too many more weekends to ski. In fact, I’m posting this at six something on a Saturday morning before we take off to ski. As always, I’ll report back. No, I’m not talking about the Chevrolet Avalanche, or any other SUV. It will come as no surprise that the last time I saw one of those was before we moved to Switzerland. This post is about snow, lots of it…tumbling down mountains. Steep slopes of 30-45 degrees are more likely to avalanche. Convex slopes are more prone than concave slopes. Just looking at bowls and gullies, should alert you to their avalanche danger. What happens when you pour water into a funnel? Slopes that gather drifting snow, accumulate more of it and do it more quickly. The snow is also looser, less compacted. You can see how these factors all increase the likelihood of an avalanche. 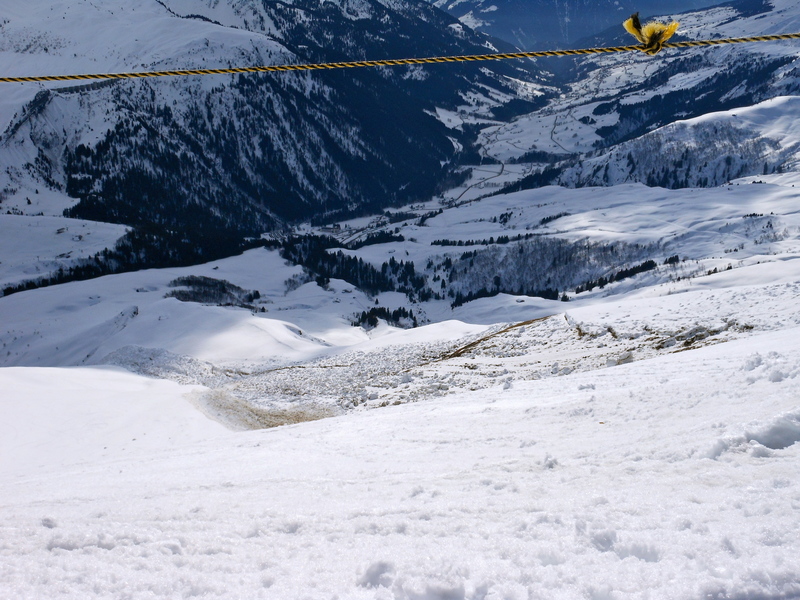 Smooth, grassy slopes are much more dangerous because there is nothing to anchor the snow to the mountain. Moist, dense precipitations are typically less dangerous than loose, dry snows. Wind. It moves snow about the slopes and exerts pressure. Need I say more. Changes in temperature. Change is destabilizing. High and rapidly rising temperatures create wet snow prone to slides. That’s likely what happened in the pictures below. Thawing and refreezing. 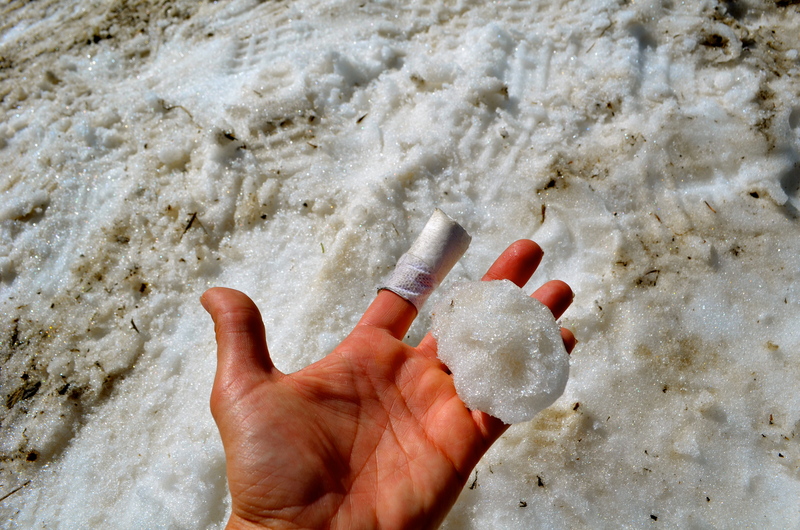 When old snow melts, it becomes smooth (or icy after a rain). It doesn’t take a genius to figure out new snow on top might slide off. Similarly, loose, underlying snow is unstable. It doesn’t take Copernicus to predict what is likely to happen. A foot or more of soft, new snow is dangerous. It puts pressure on the existing snowpack. New snow has to go somewhere, right? Some of it might rest where it lands. 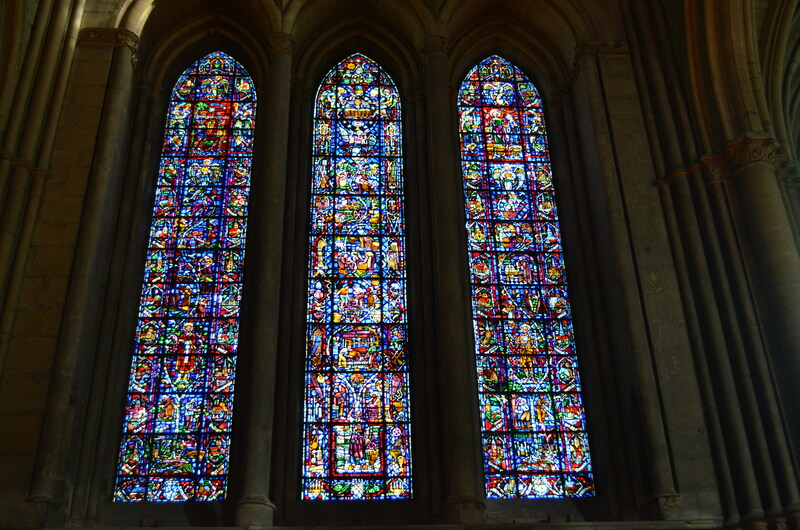 Some of it might come tumbling down. Even the shape of the snow crystals can make a difference! Avalanches can be deadly, but people buried in avalanches have a good prognosis if they are found and dug out quickly (within 15 minutes to have a reasonable chances of survival). Much of North America is so large that the chances of a professional rescue team arriving in that time frame can be slim. Nevertheless, Canada‘s average time to dig someone out is 18 minutes (with a survival rate of 46%)! In Europe, where everything is closer, things vary by country. In France, the average time to dig someone out is 45 minutes. 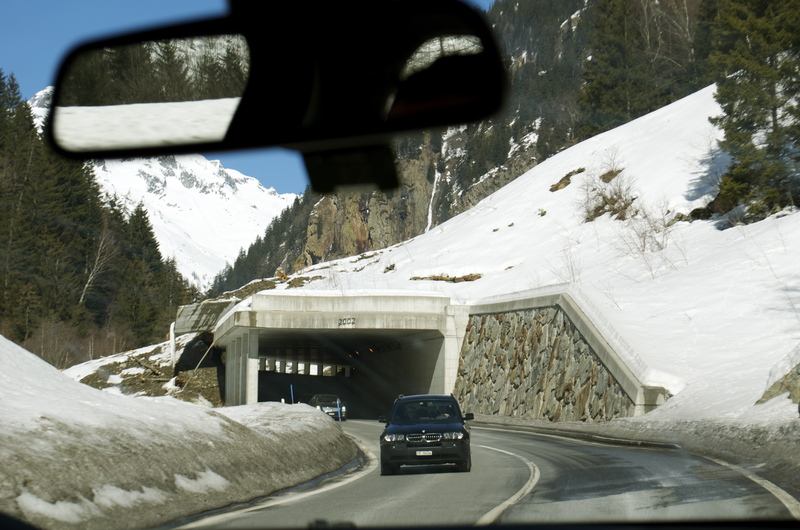 As a result, France’s death rate from avalanches averages 25-30 per year (60% of extracted victims die). 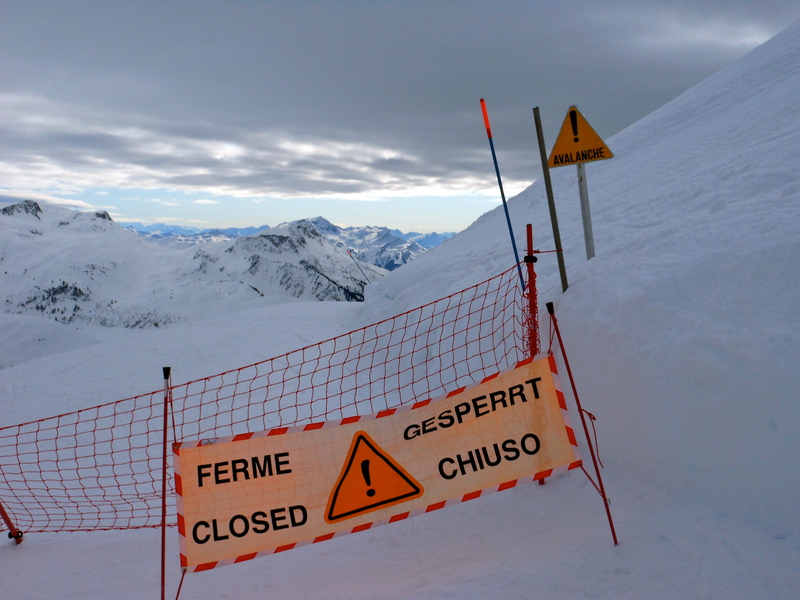 France (where we do most of our skiing) had more avalanche fatalities than any other country. The winter of 2005-2006 was a difficult avalanche season and over 50 people died from avalanches in France alone. 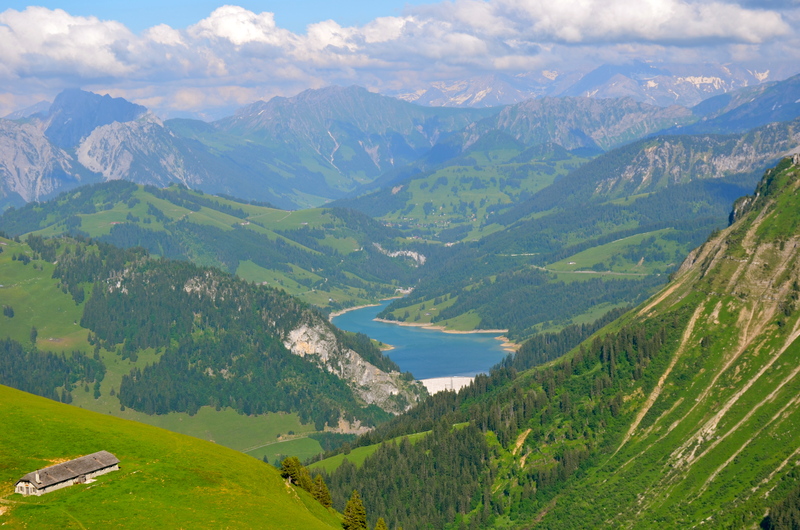 Switzerland takes 35 minutes (with a survival rate of 47%). Just last month, Prince Frisco of the Netherlands was caught in an avalanche in Austria. He was buried under the snow for over 25 minutes and it took nearly 50 minutes to resuscitate him. He remains in a coma and may never recover. Avalanche deaths have been on a rise. Equipment has improved over the past couple of decades, making “off-piste,” backcountry skiing without the benefit of marked trails composed of compacted snow, possible for many more. It looks like tons of fun, but many are ill-prepared and not sufficiently knowledgeable. 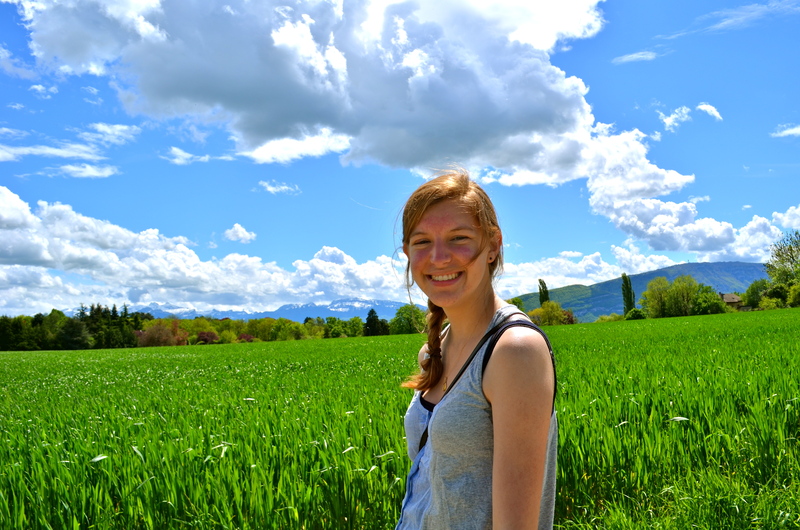 This was taken at Les Contamines, near Mt. Blanc. If you look closely, you can see the aftermath of the avalanche. Several technologies are essential for anyone backcountry skiing as they help improve the chance of survival. 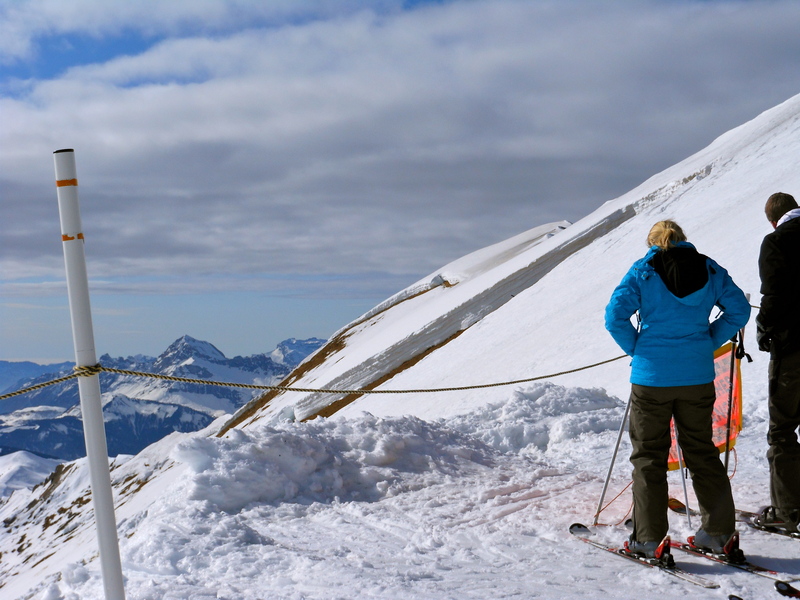 Transceivers, otherwise known as avalanche beacons, send and receive radio signals, helping rescuers to quickly pinpoint the location of a buried victim. Nevertheless, not even half of those with beacons survive. It cannot save you if you are severely injured or buried deeply. 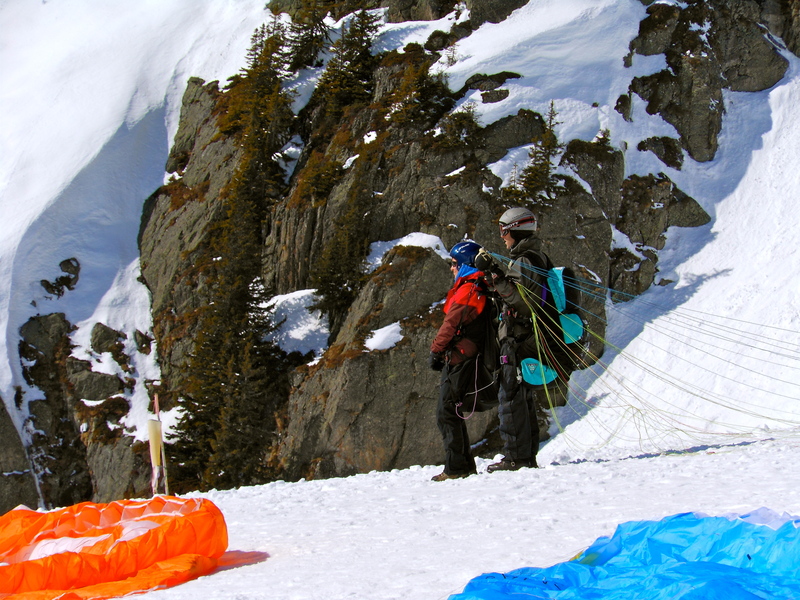 Avalanche airbags are recommended and gaining in popularity. We have even seen them advertised at bus stops. Worn like parachutes, the ripcord causes an airbag to inflate, encircling the head. It protects their head and their neck and provides floatation, decreasing the likelihood of burial. Other crucial safety tools include: collapsible probes and shovels. The best defense is a good offense. It is best to avoid an avalanche altogether. You can see where the snow slid (and might again). A Verbier, Switzerland skier’s helmet cam video of him being caught in and rescued after an avalanche. An avalanche destroying a chair lift in the Savoie region of France last weekend. Yep. That’s near where we skied last weekend. 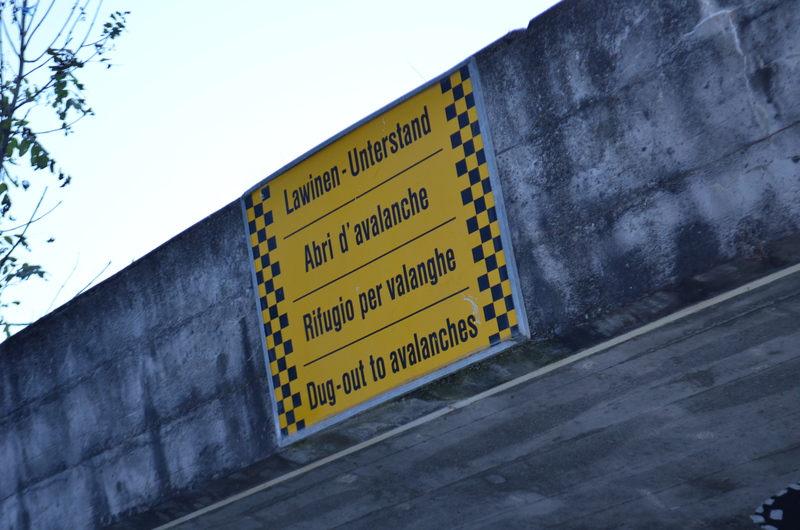 During our Swiss travels in Switzerland, we have seen evidence of the Swiss infrastructure to prevent and deal with avalanches. 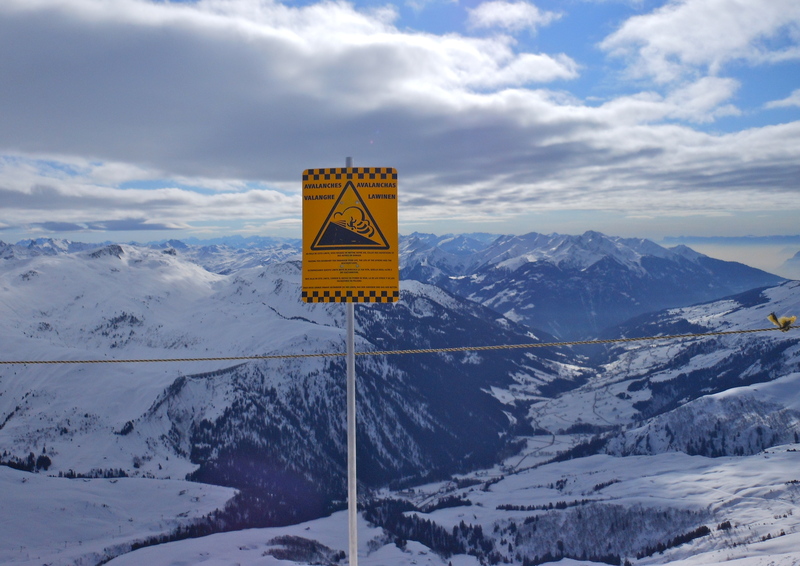 Don’t worry mom, ski resorts try to eliminate the possibility of an avalanche on the slopes by compacting the snow or using explosives. We aren’t good enough (or brave enough) to really go off piste.